For whatever reason, inserting pictures is easier with this critter on top, so get used to the duck. 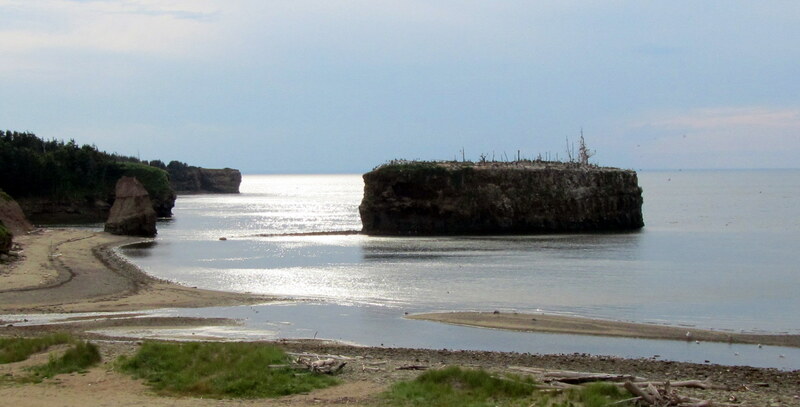 Just a spot we saw on our way back from the Acadian Heritage Center. 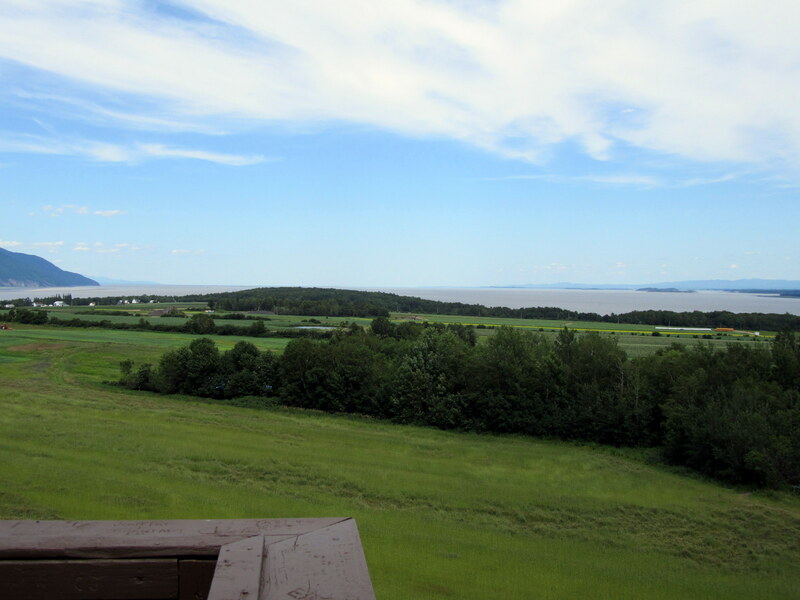 Our first glimpse of the Gulf of St Lawrence from an observation tower on Ile D'Orleans. 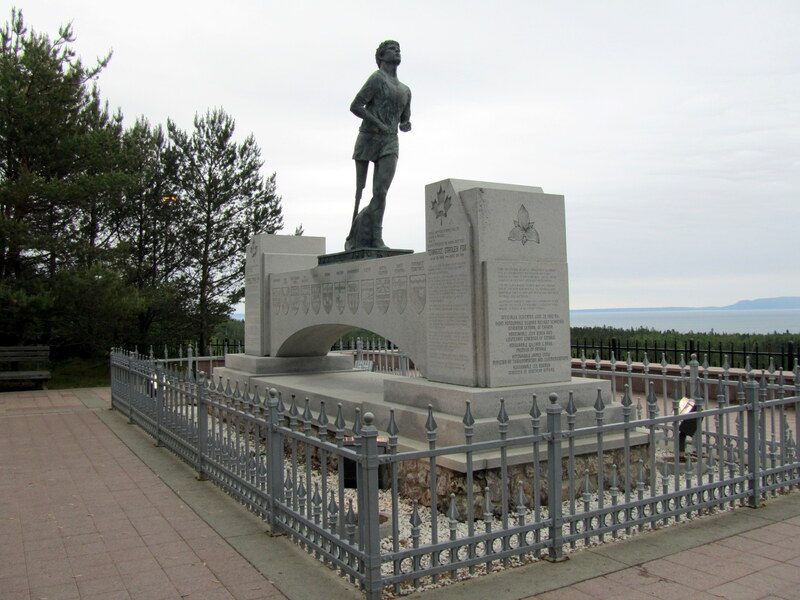 You can see 70km from this vantage point. 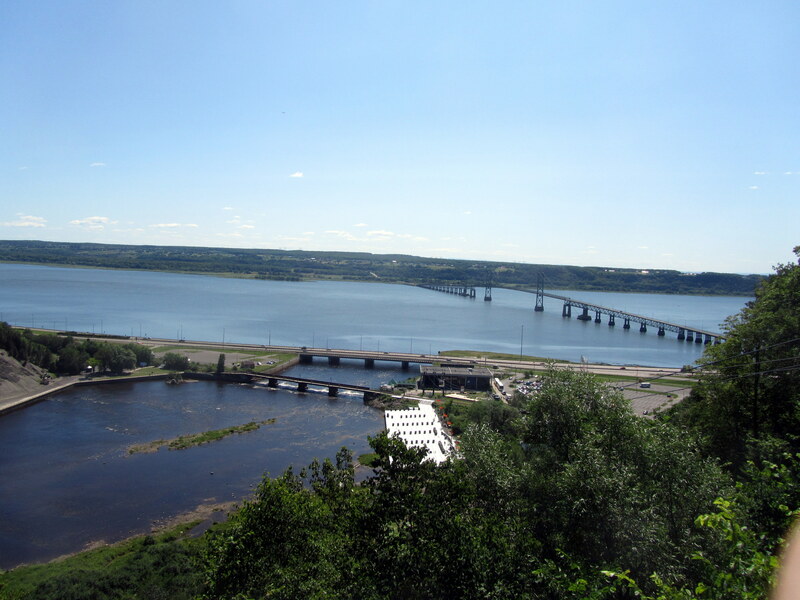 The view from the top of Montmorency Falls. That's the bridge to Ile D'Orleans with the island in the background. 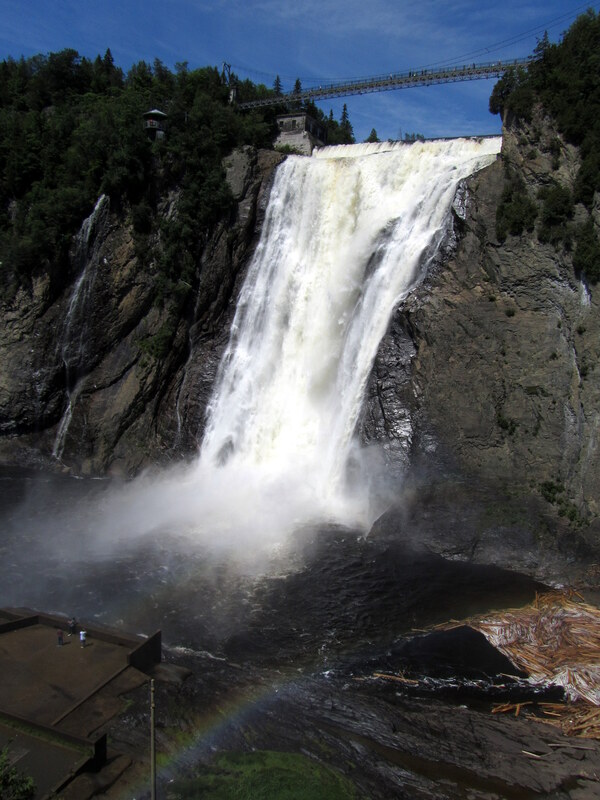 Montmorency Falls, higher than Niagara, and a really nice walk. 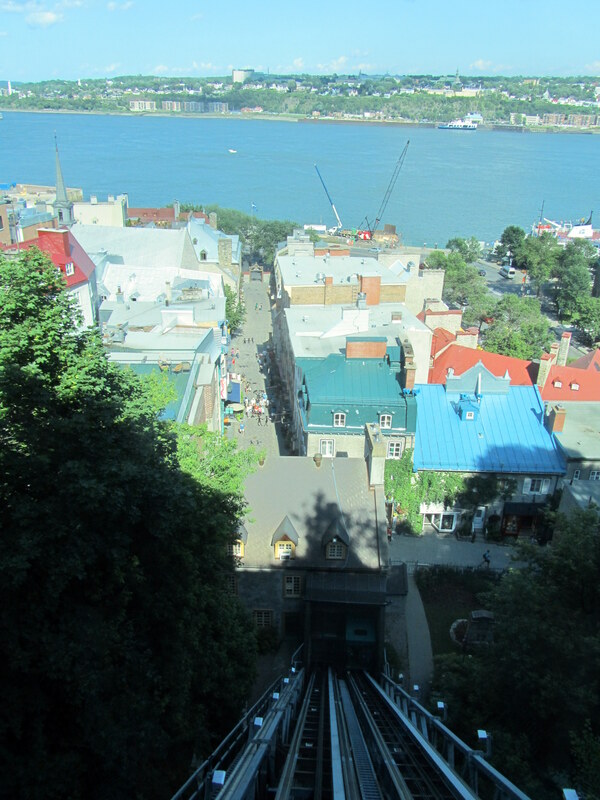 The view down the Funiculaire towards the harbour. 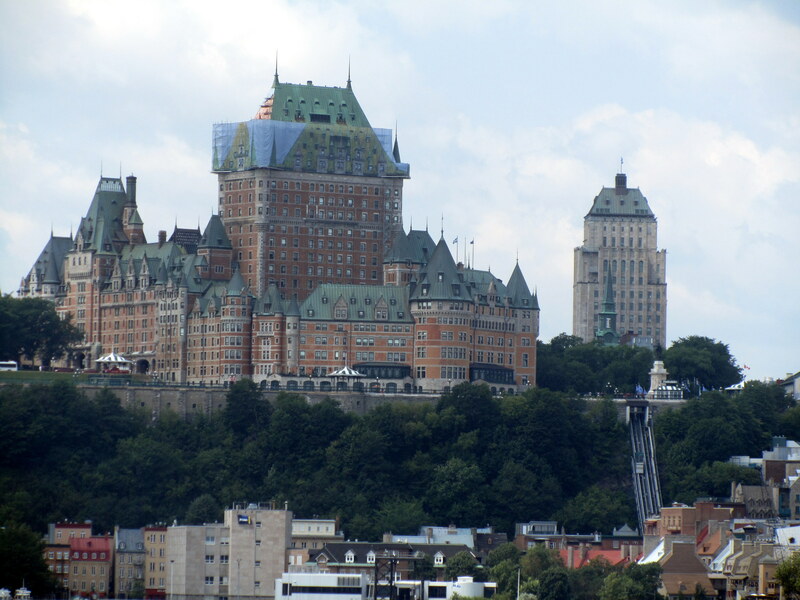 The Chateau Frontenac, one of the most photographed buildings in the world. 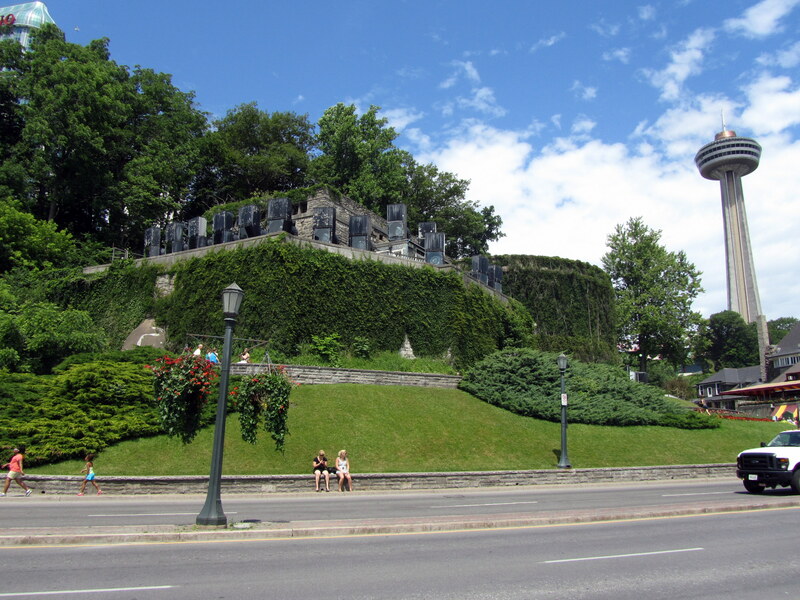 Just one of the nice areas in Old Quebec City. 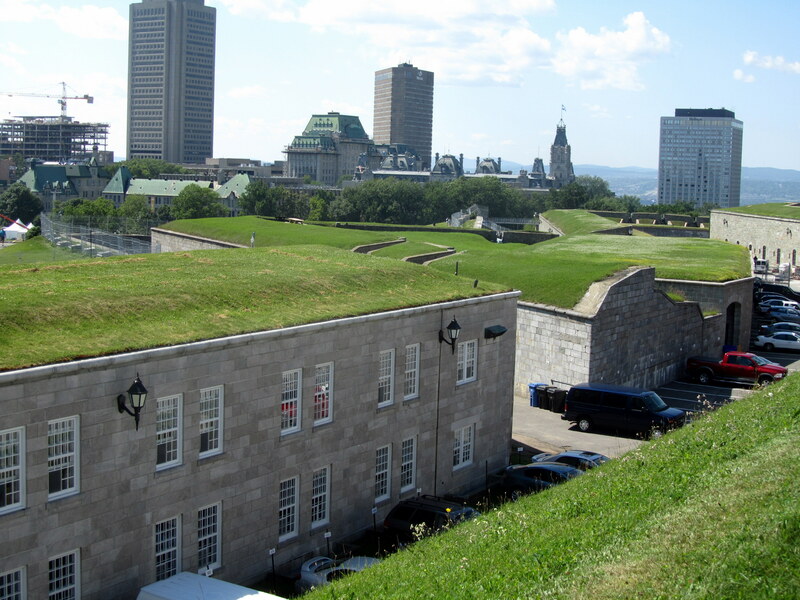 The Citadel was built so that it looked like grassland from a distance, but was a formidable fortress to attack. 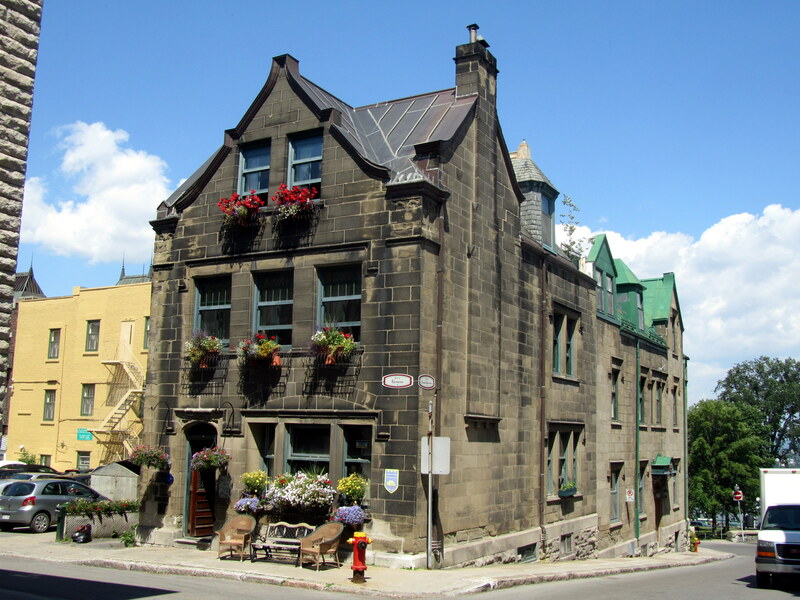 One of the weathered buildings in Old Town. 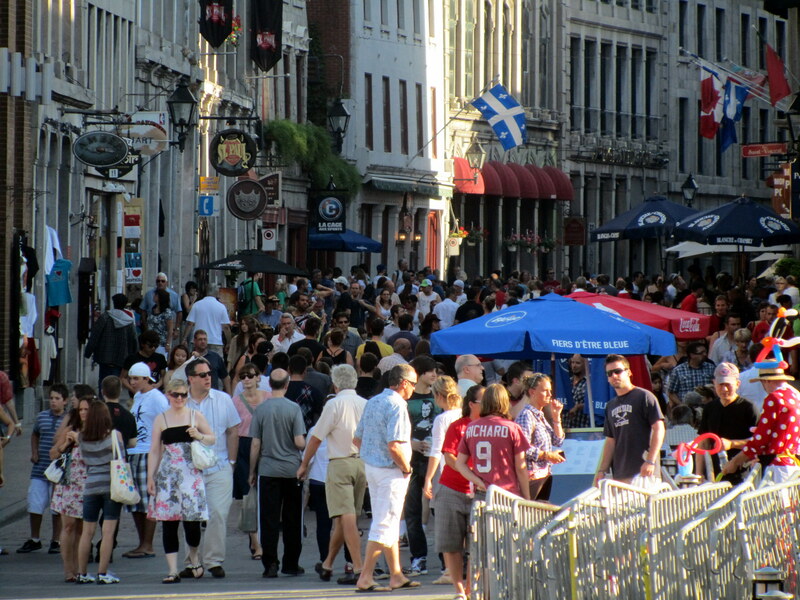 Did I mention that Place Jacques Cartier was busy on a Saturday evening? On Thursday we just missed seeing the taping of the Today show, and I gather it was even busier. What big (orange) eyes you have my dear. 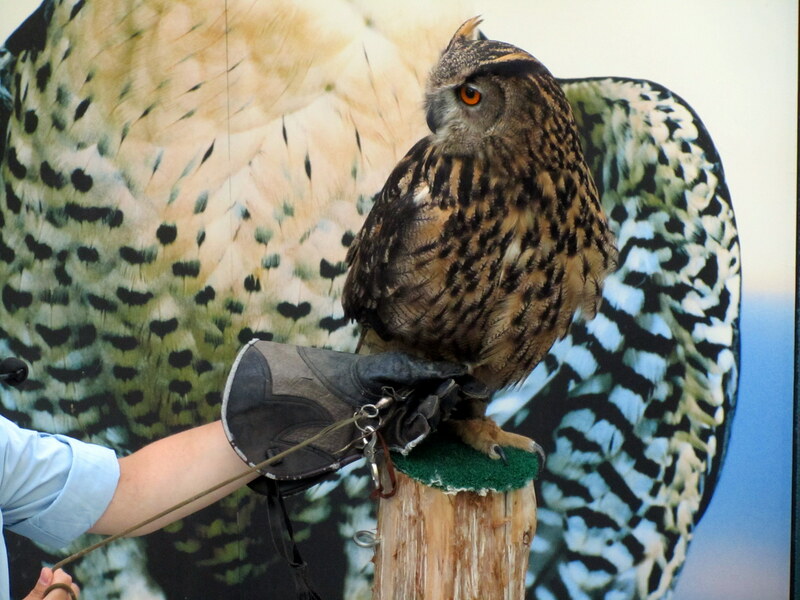 Did you know that an Owl's eyes touch inside their head? 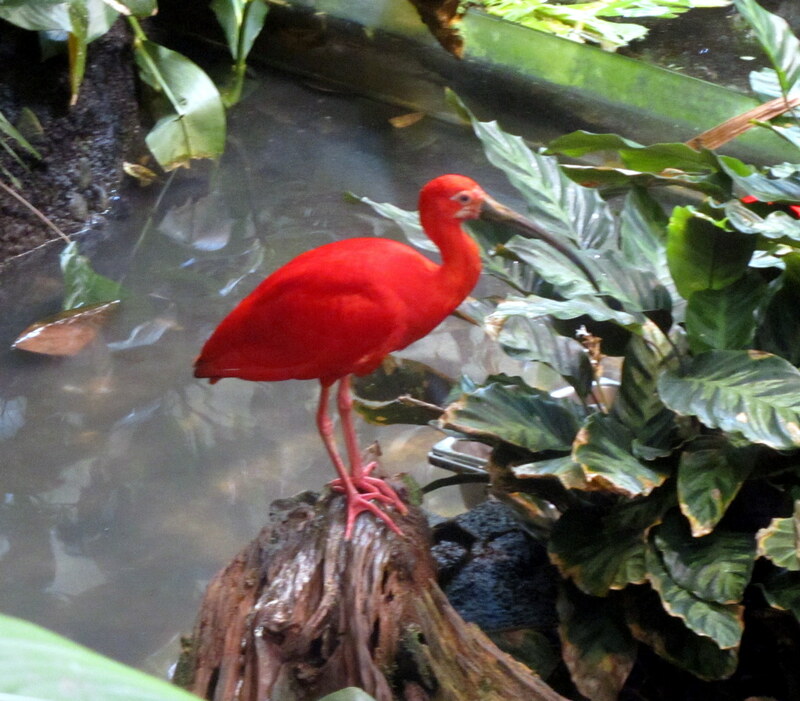 The one bird that stood still long enough to take a picture inside the Biodome. 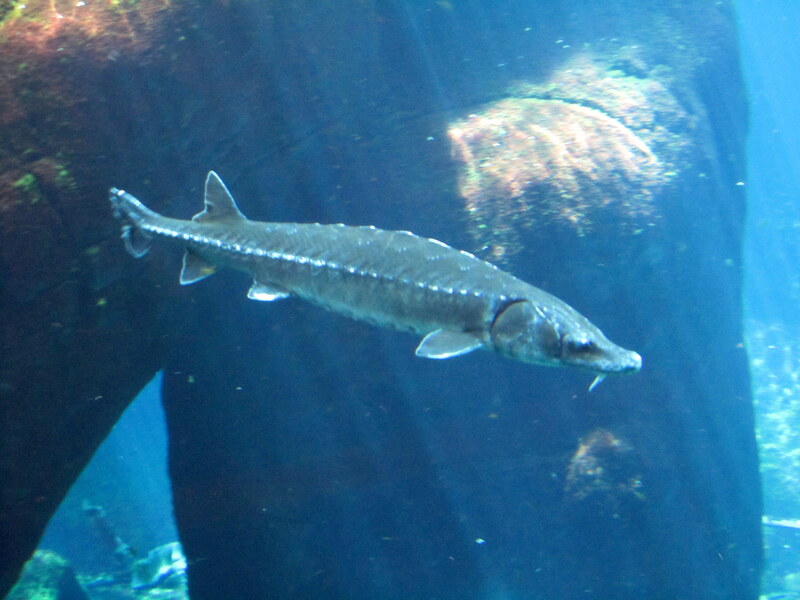 They also have Sturgeon in the St Lawrence river system. This fella is about 5 feet long. 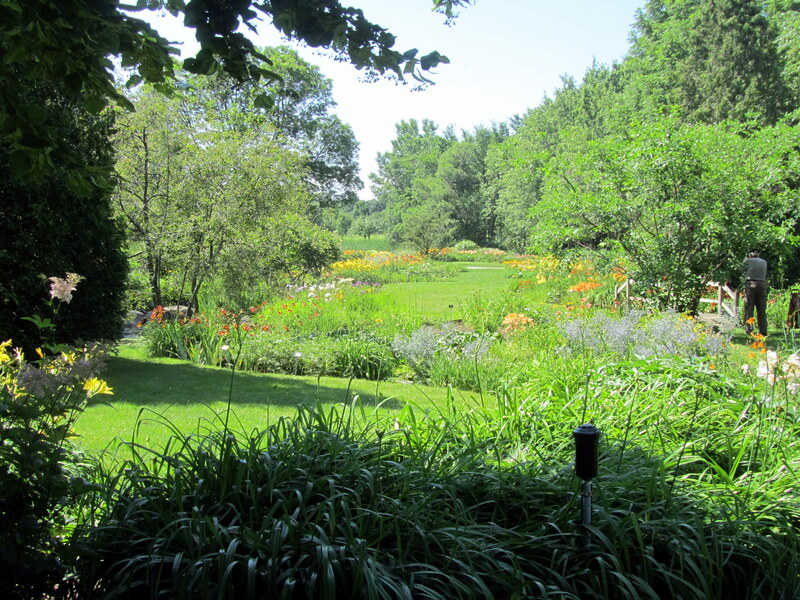 Just a small part of the Botanical Garden. 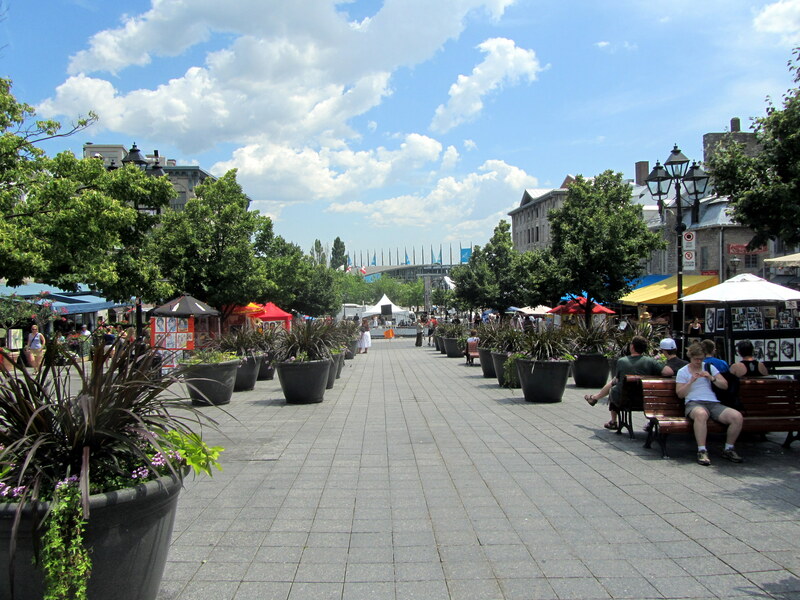 Place Jacques Cartier. This place was full of buskers, people and shops, and on Saturday, there were quite a few bridal parties. 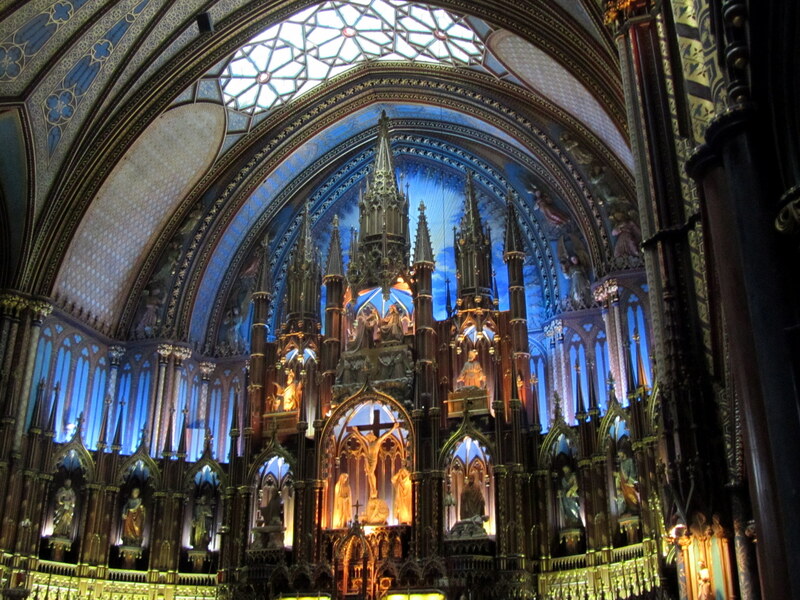 The nave at the Notre Dame Basilica. Quite an impressive building. 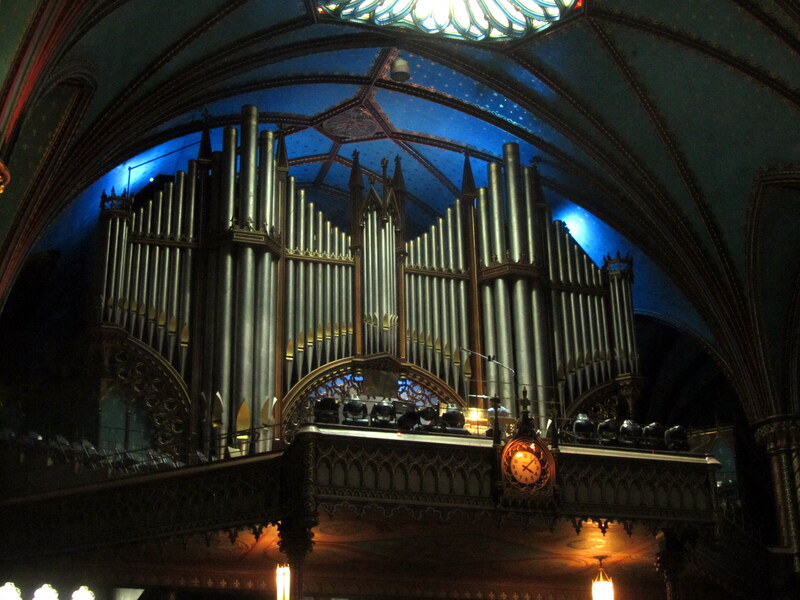 The Pipe organ at the rear of the Notre Dame Basilica was really big and really loud. 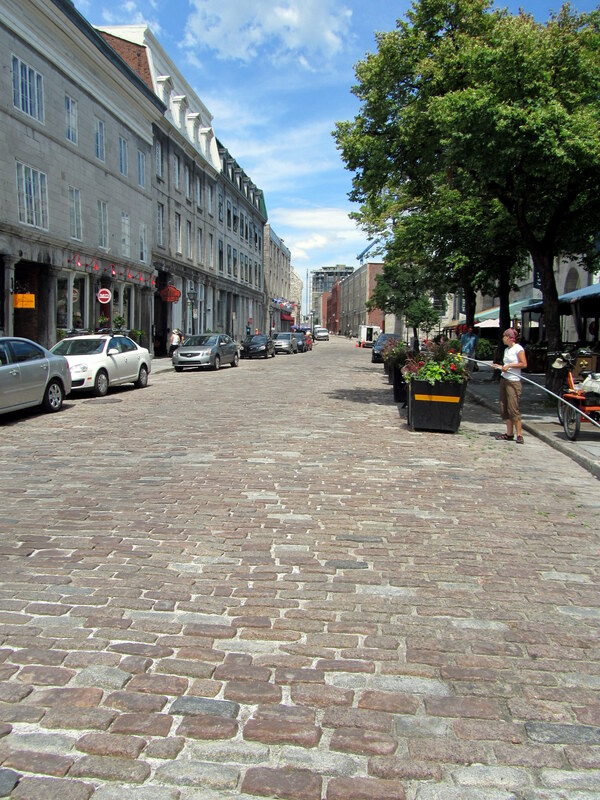 The cobblestoned streets aren't too good for walking on in high heels. 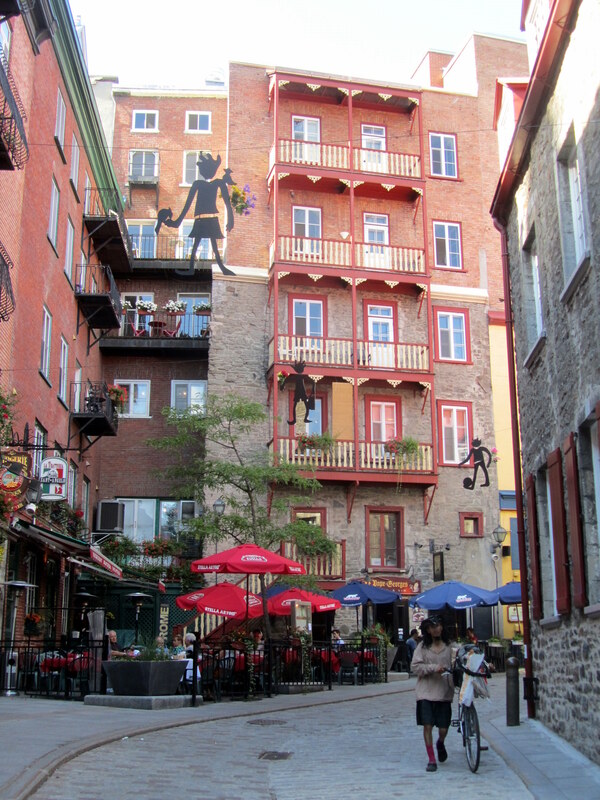 It was kinda funny watching all the bridesmaids hobbling through the Old Montreal area. 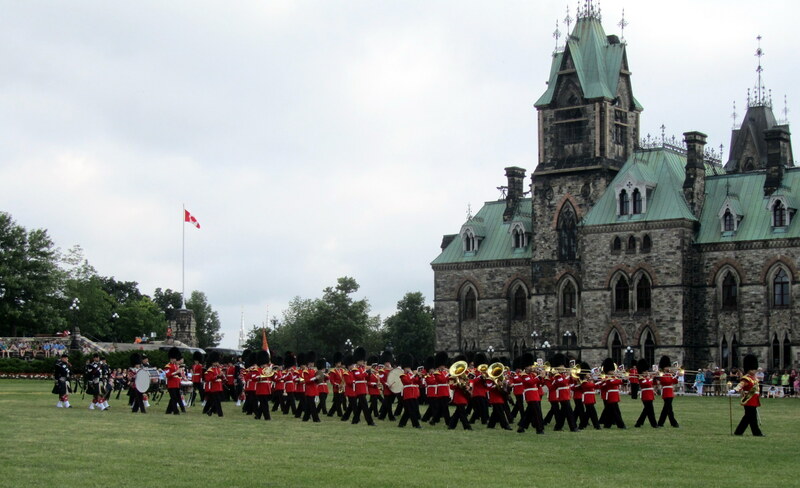 The Changing of the Guard with the East Block in the background. 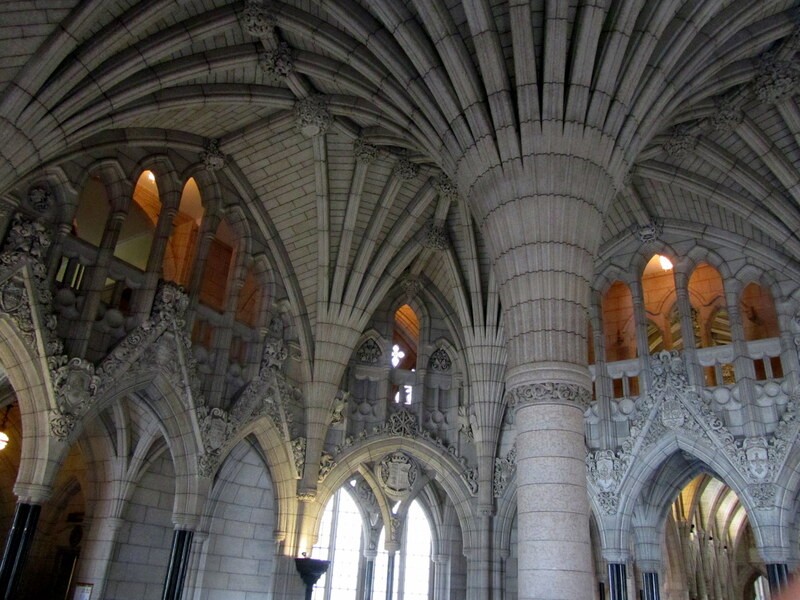 The entire structure of the Parliament is made of this intricate limestone, and it was rebuilt in just 4 years after the fire. 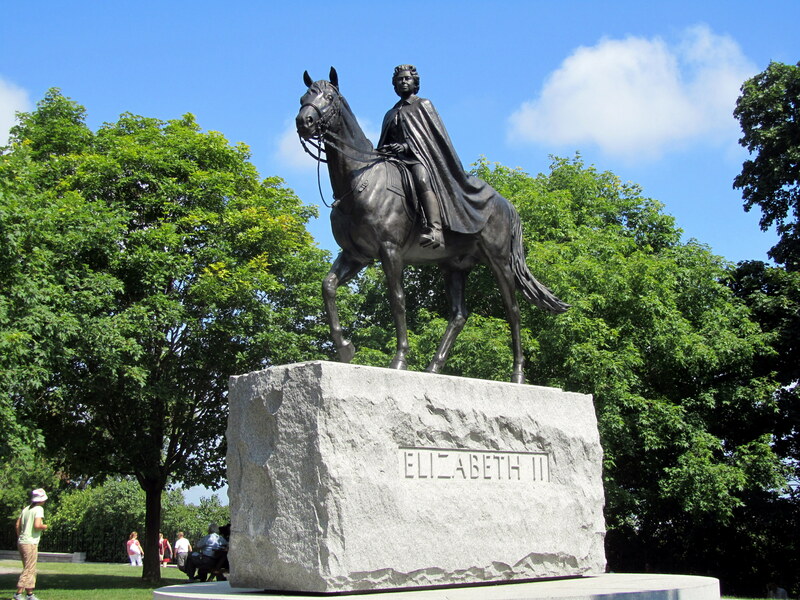 Just oneof more than 2 dozen bronzes depicting Prime Ministers, Fathers of Confederation and other important figures to Canada. 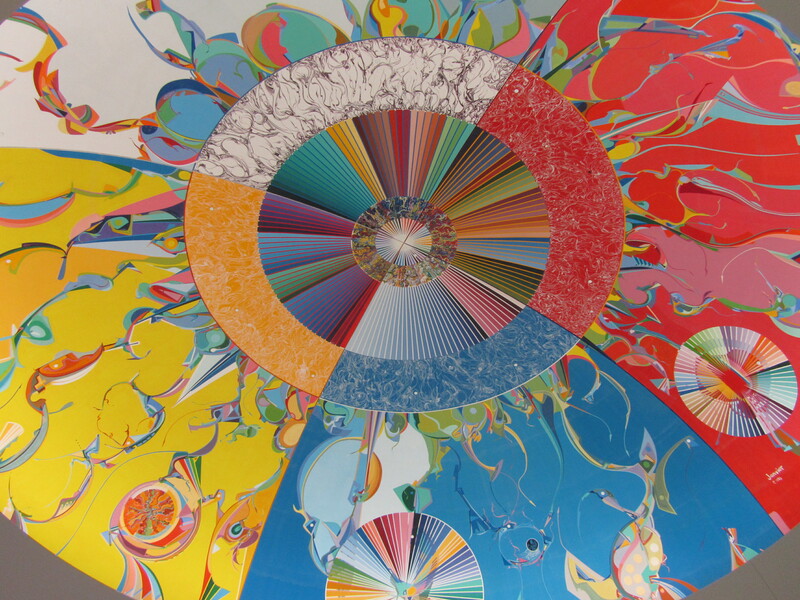 The Rotunda at the Museum of Civilization. 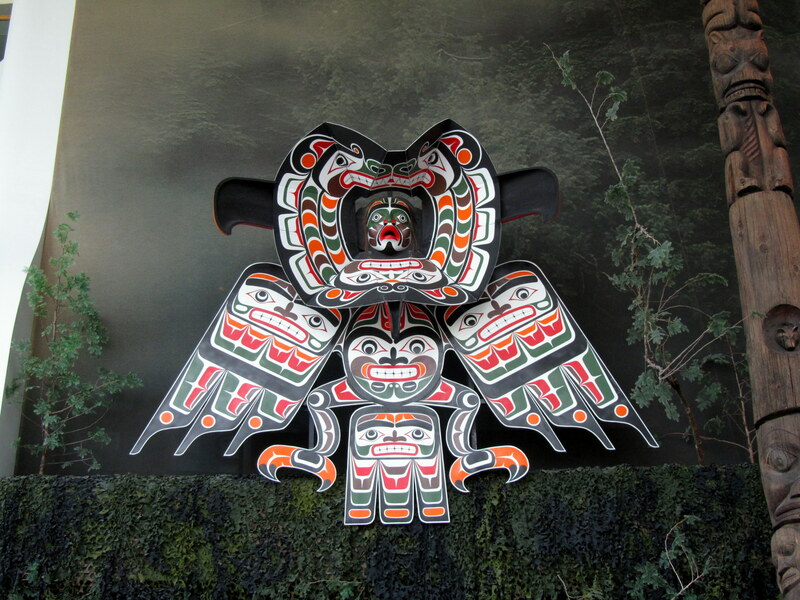 One of the displays in the Pacific Coast First Nations exhibit at the Museum of Civilization. 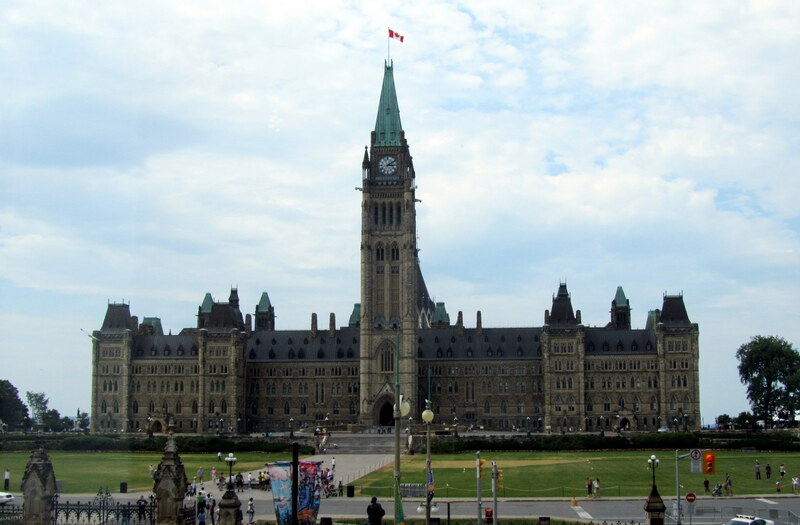 The Parliament, or an adult kindergarten if you watch Question Period. 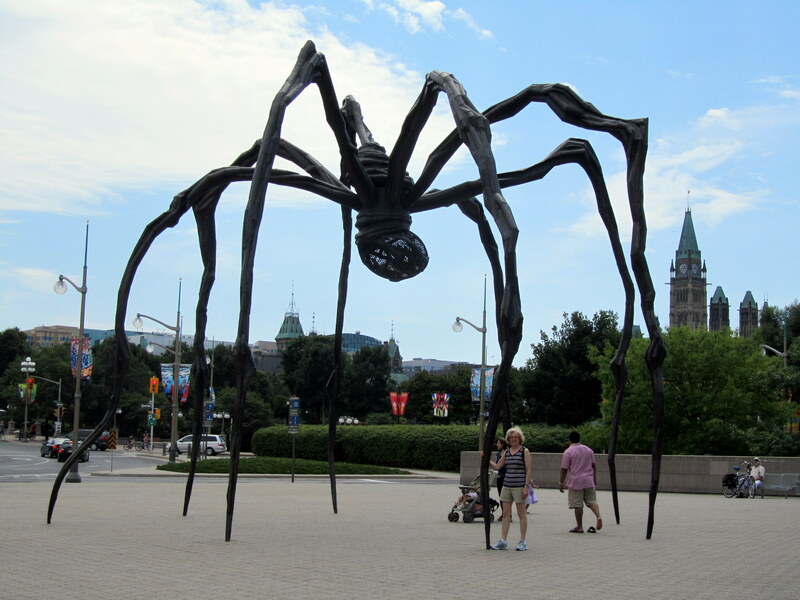 At the National Gallery of Canada. 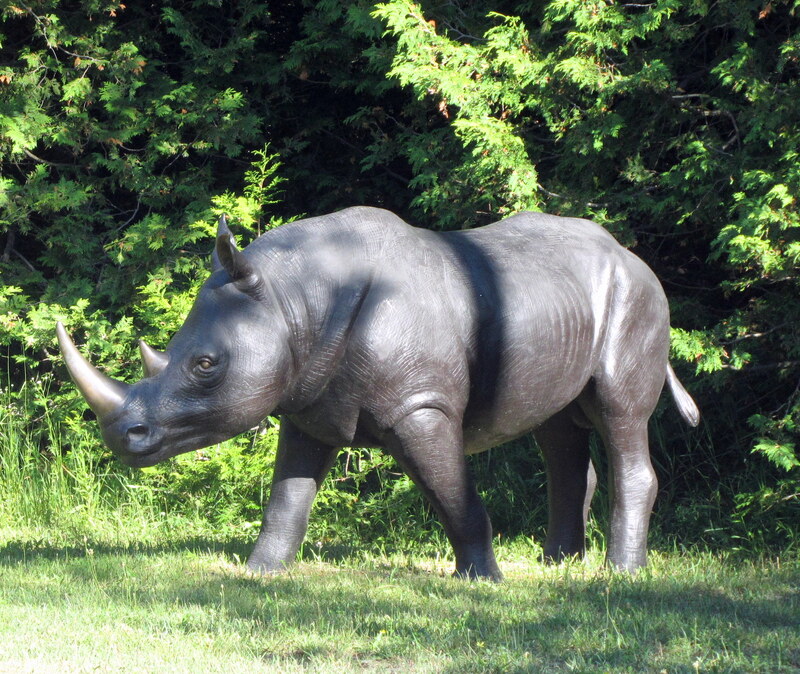 At least he's friendlier than those we saw in Arizona. 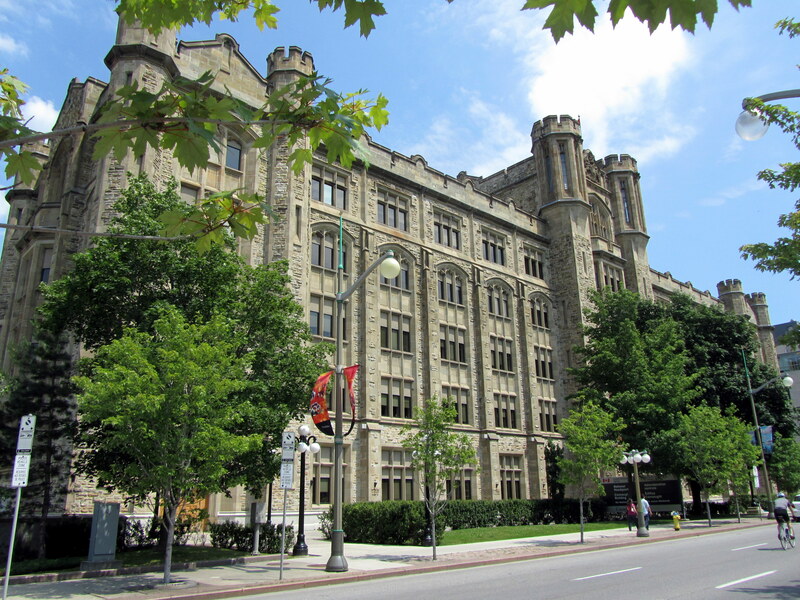 Home of Sylvia's least favourite civil servants, the dreaded CRA. This one I can carry. Maybe if I had this I could buy that Maserati! 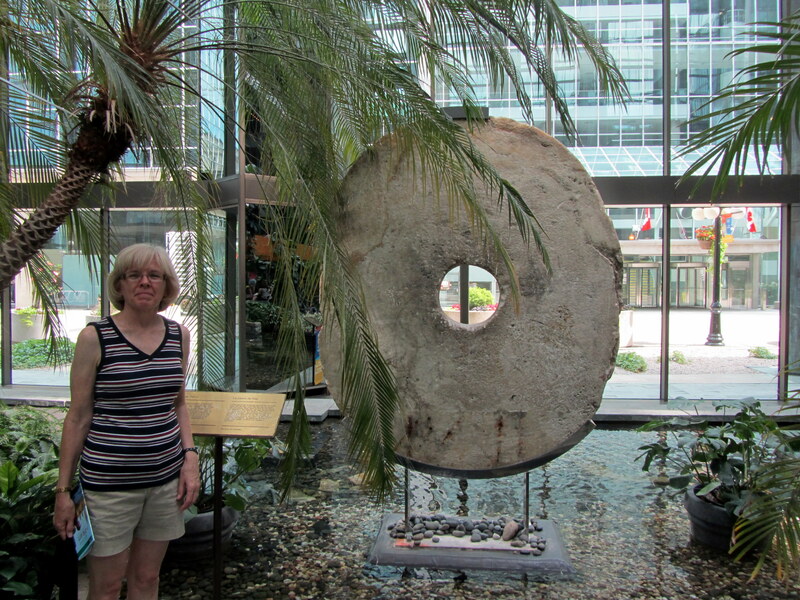 This coin from the south seas only proves that if you have enough people to carry it, you must be rich! The American Falls lit up at night. 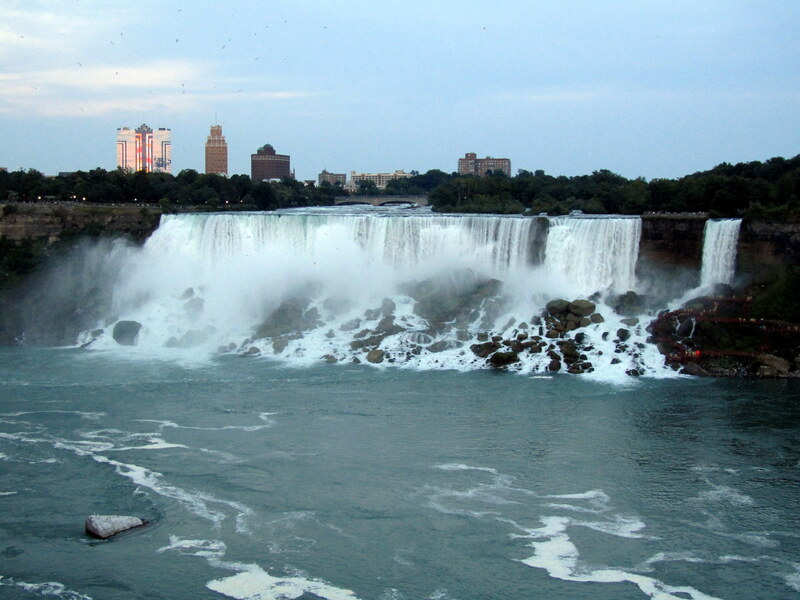 The American Falls in the evening. Downtown Niagara on the Lake. Lots of clothing and specialty shops line the street. 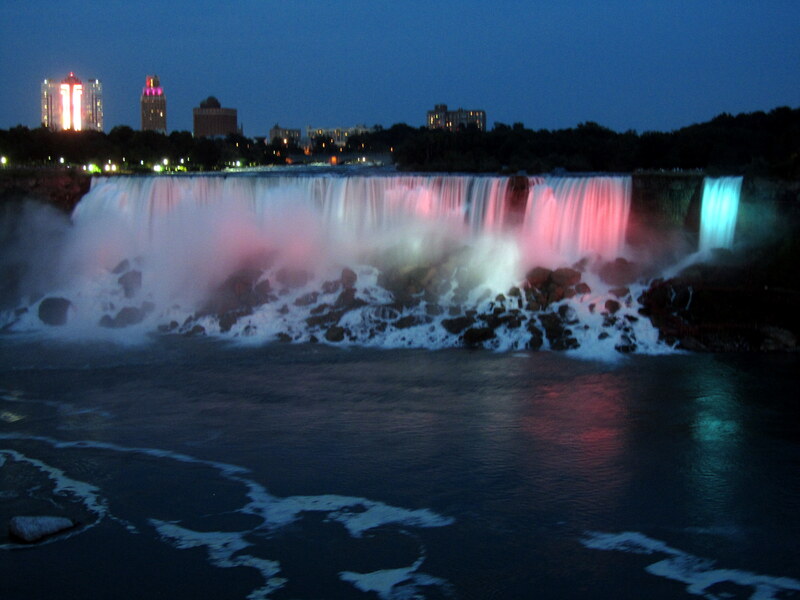 These lights are used to illuminate the falls at night. We sent to the top of the tower in the background to take more pictures. It's 800 feet above the bottom of the falls. 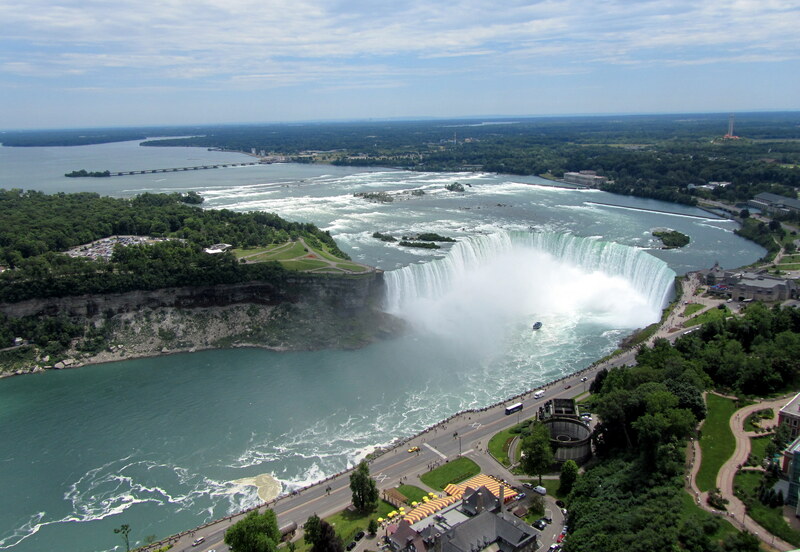 Looking down on Horseshoe Falls. 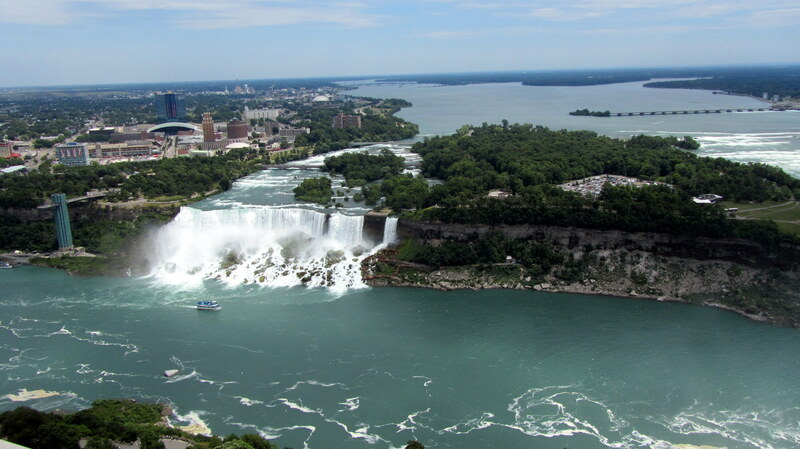 American Falls and Niagara Falls, New York from the Skylon Tower. 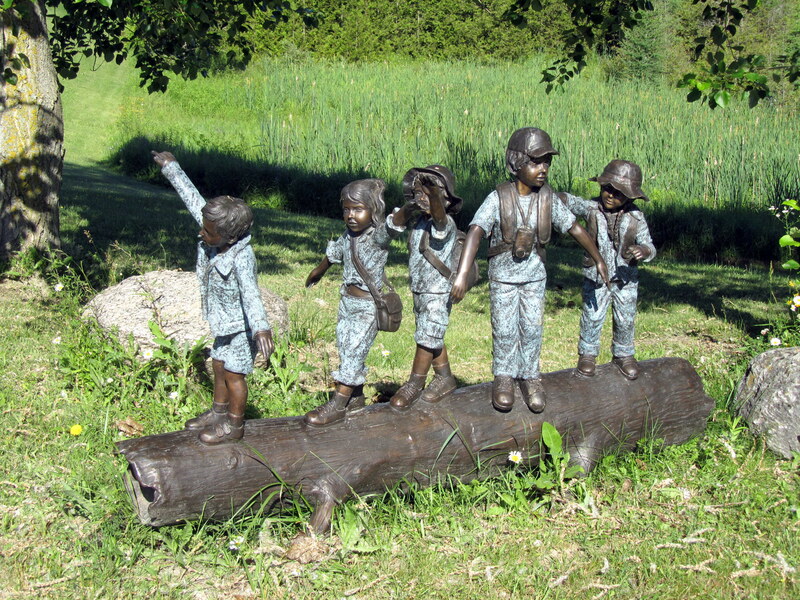 There were several bronze casts scattered around the Shamadon Lake RV resort. 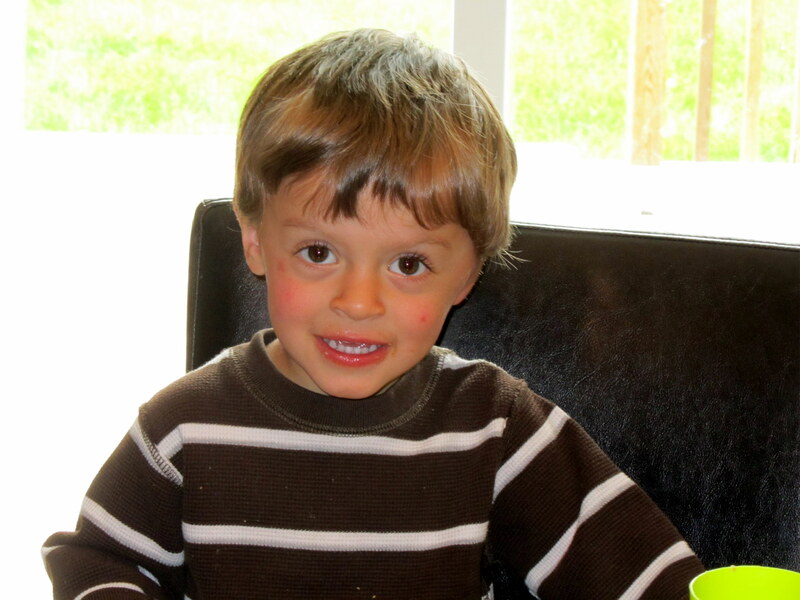 From moose to elephants to kids, they covered the animal spectrum pretty well. 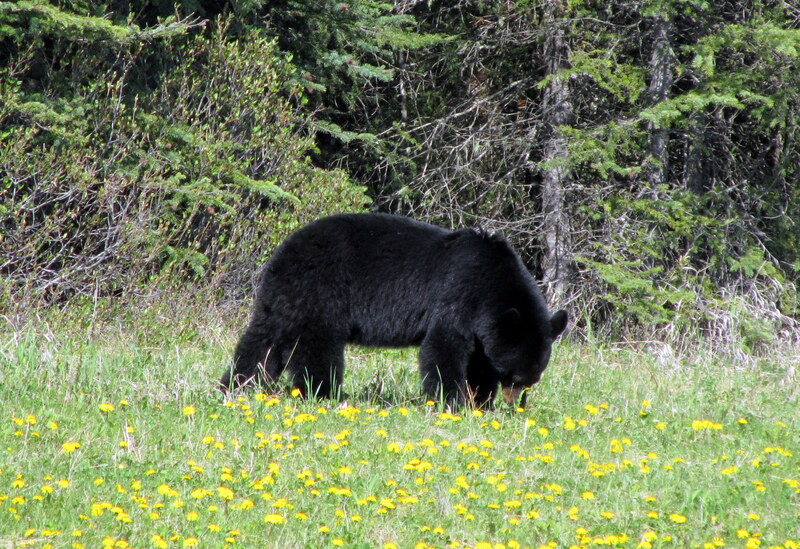 This guy was around the corner from our campsite. Jack and Marilyn look great don't they? 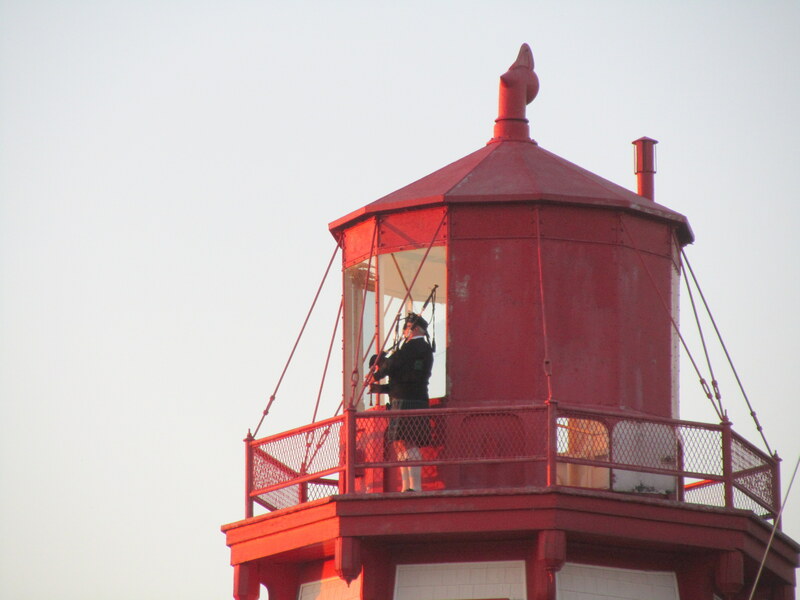 In Kincardine, they have a piper serenade the setting sun every night. There were lots of us who stopped to see the event. They do have a lovely sunset to serenade don't they. Here we are with Jack and Marilyn in our Sunday best. Marilyn says we haven't changed a bit. The only thing that shows is that her eyesight is going fast. 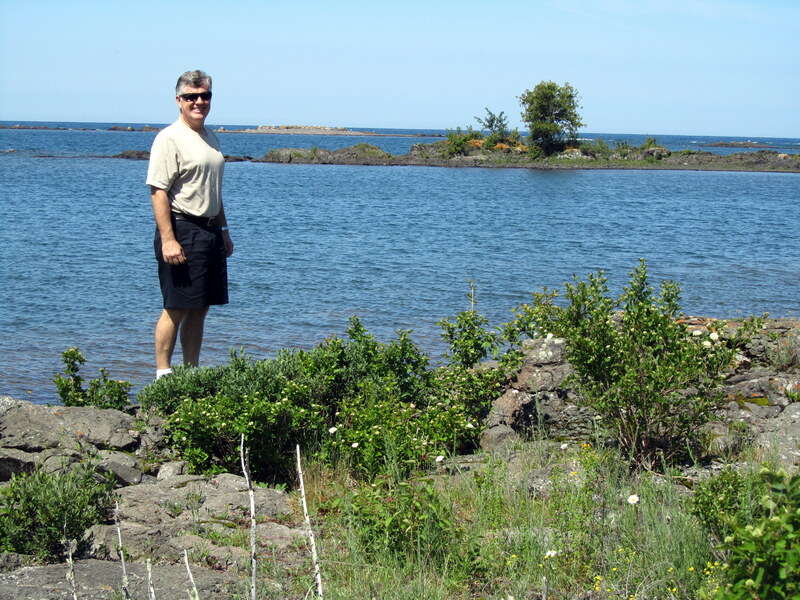 There are lots of small islands here in the 'West Coast' as well. This is near Southhampton. Southwest Ontario really is a rich farming area. 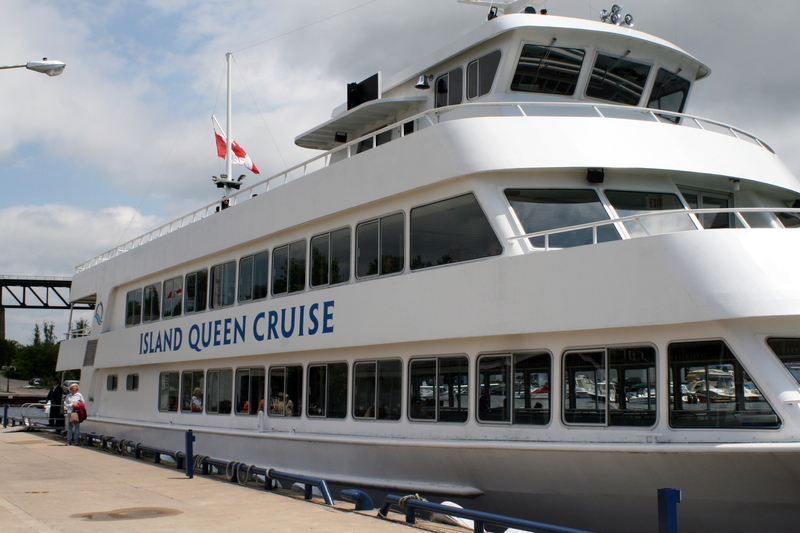 The 550 passenger MV Island Queen. 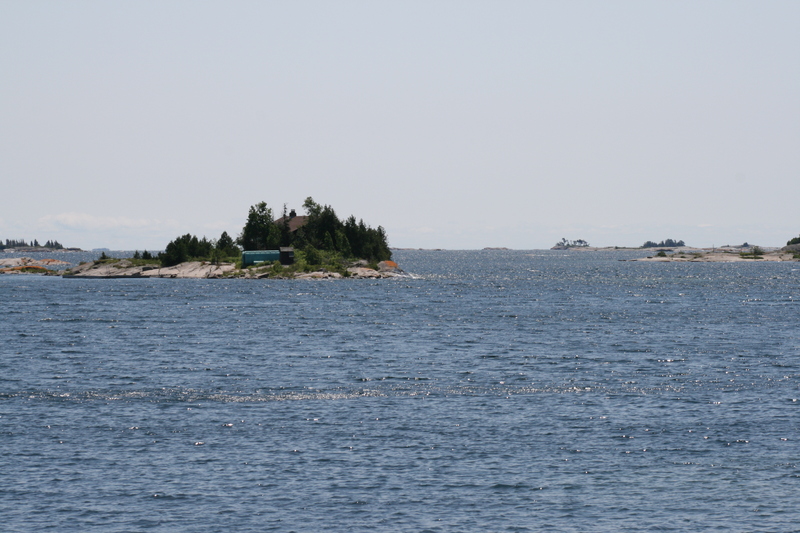 Most of the 30000 islands in the East side of Georgian Bay have at least 1 cottage on them. No matter how small the island. 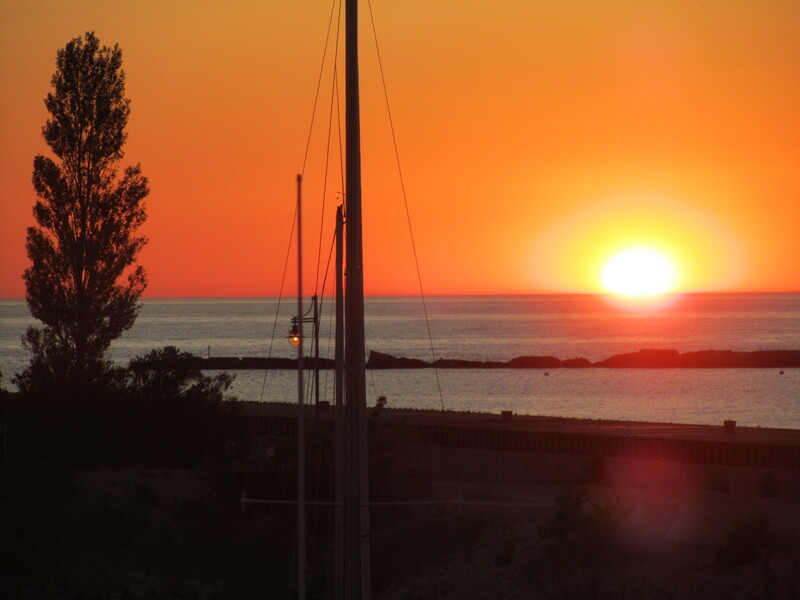 There are 6000 reported shipwrecks in the Great Lakes, and a good majority of them are in Georgian Bay due to all the rock and shoals, which don't even count towards the 30000 islands in the area. 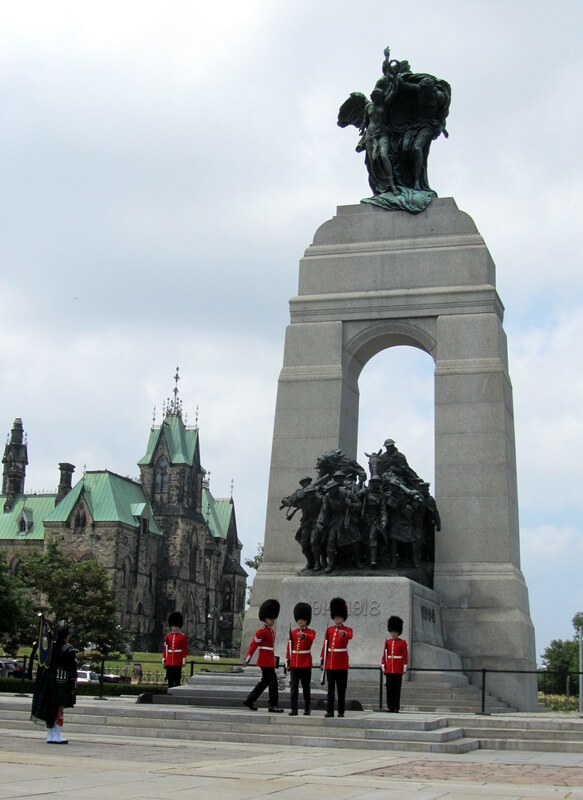 The 3 hour tour we took was pretty special. 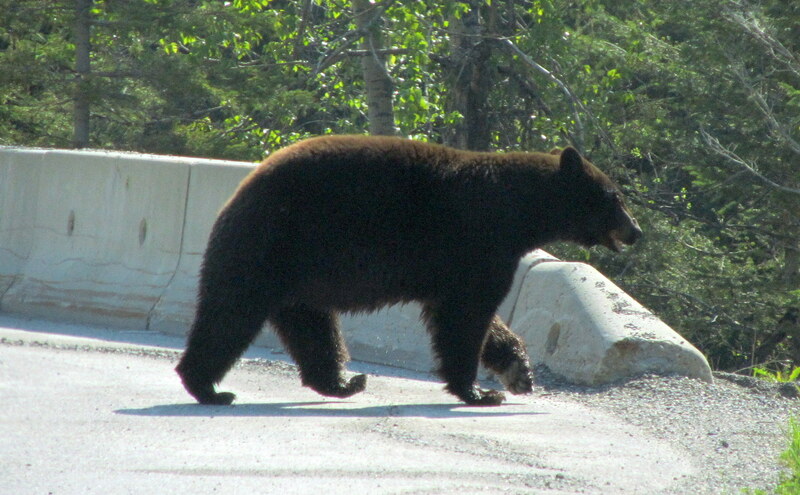 On highway 69 just before Parry Sound. 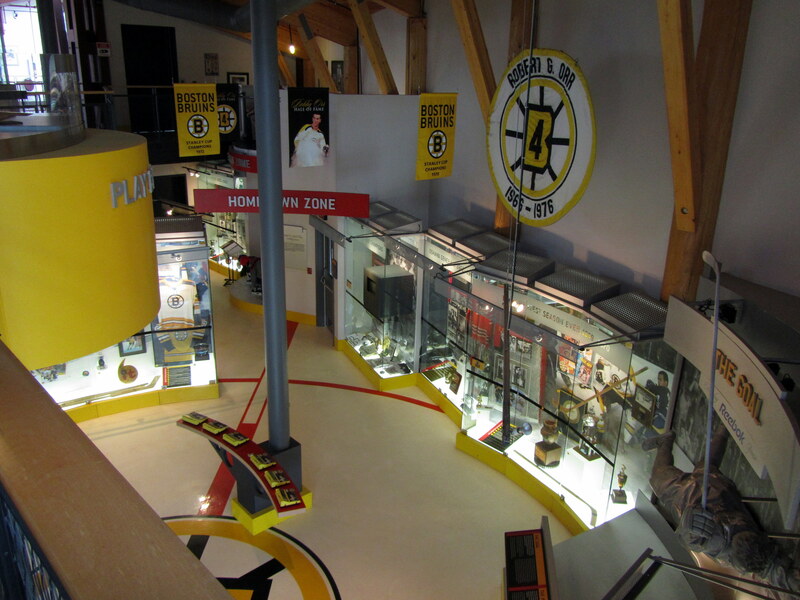 The Bobby Orr Hall of Fame. 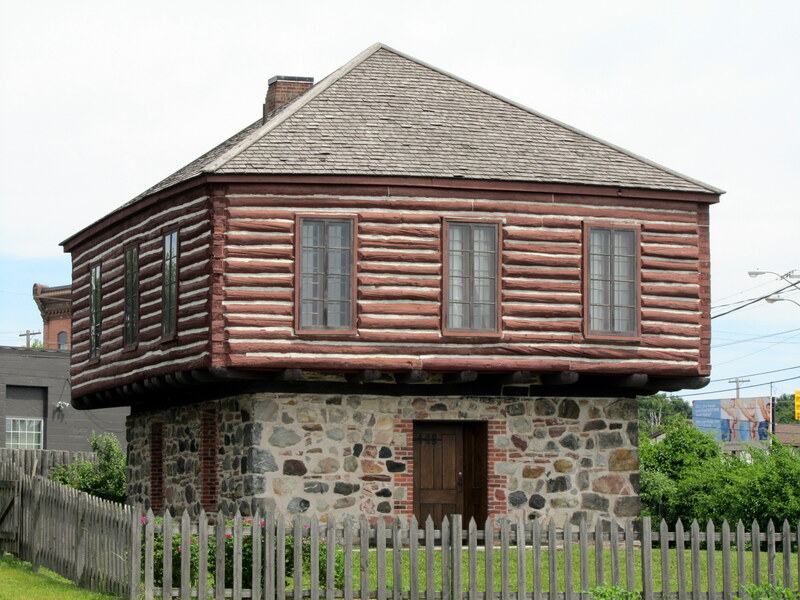 The Clergue Blockhouse built on top of an early 1800's gunpowder magazine. 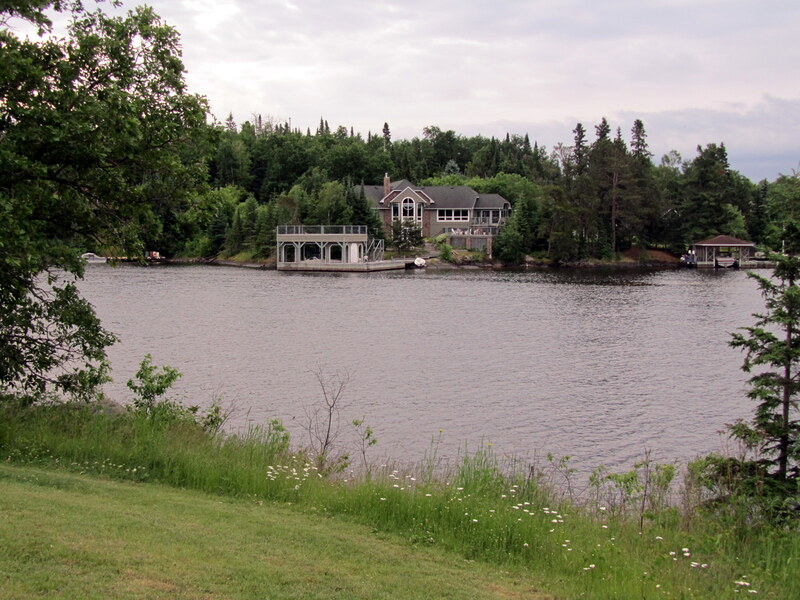 It was used as a home until a fire in 1974. 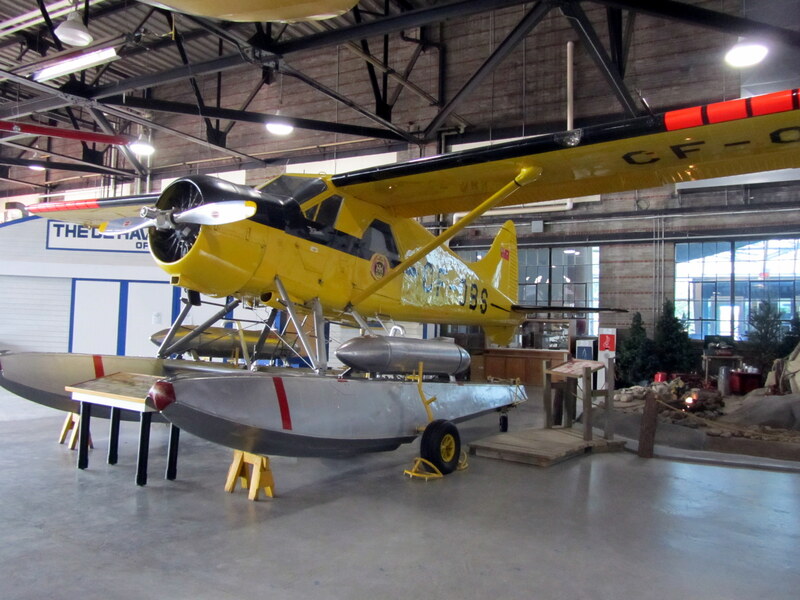 I have such fond memories of flying in a Beaver. Of course I also have loose fillings from the experience. 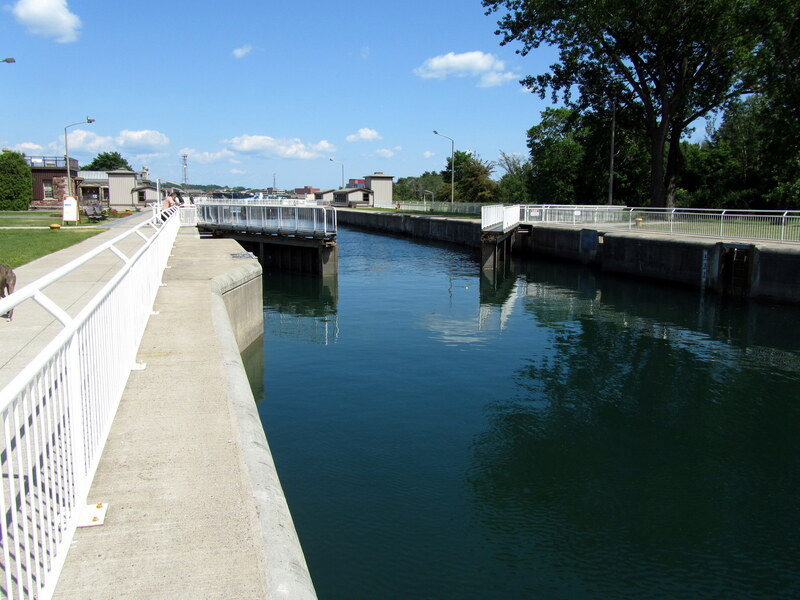 They ended up operating this lock for the benefit of one little cartop fishing boat. 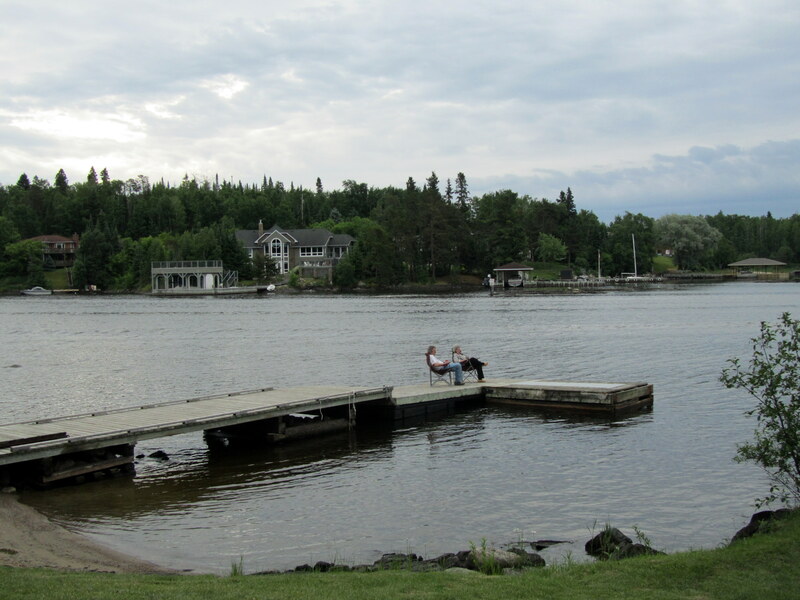 The commercial traffic uses the American side of the St Marys River. 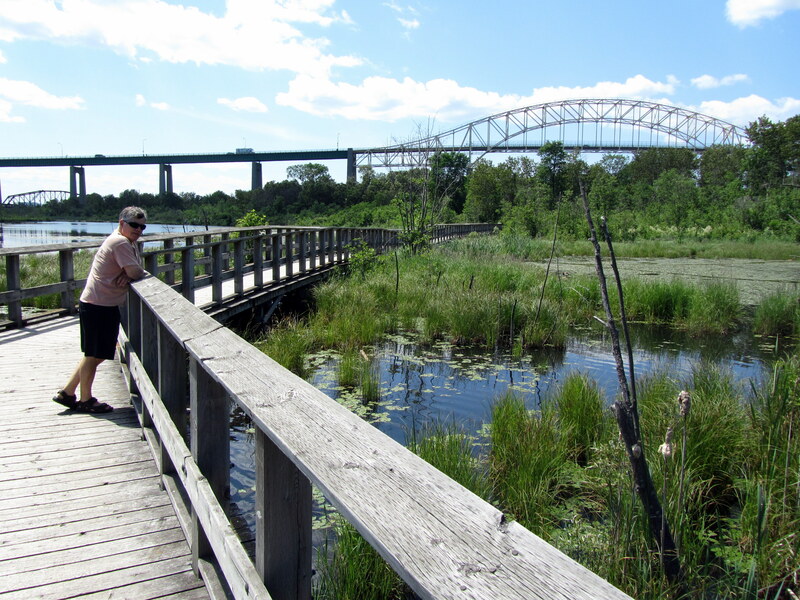 This marsh is formed by a number of Beaver Dams that have been reinforced between some islands in the St Marys River. 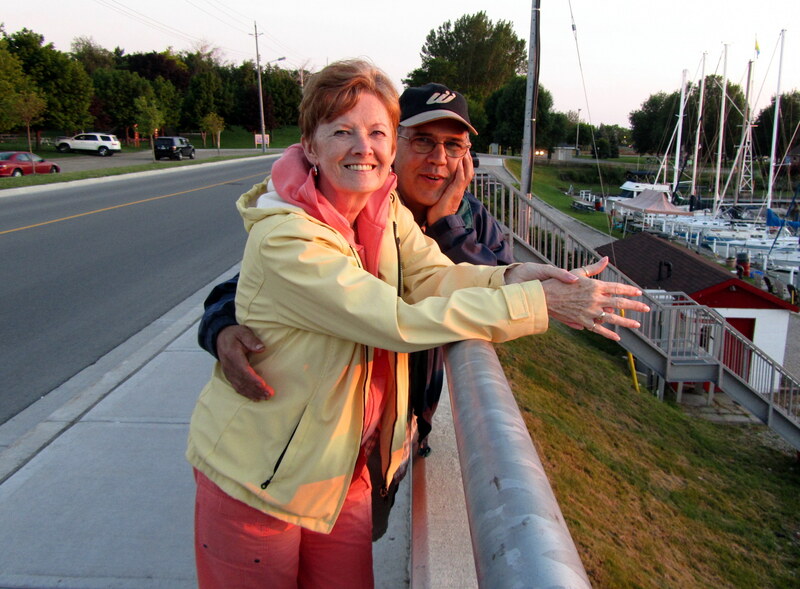 The bridge in the background crosses the border to Sault Ste. Marie, Michigan. 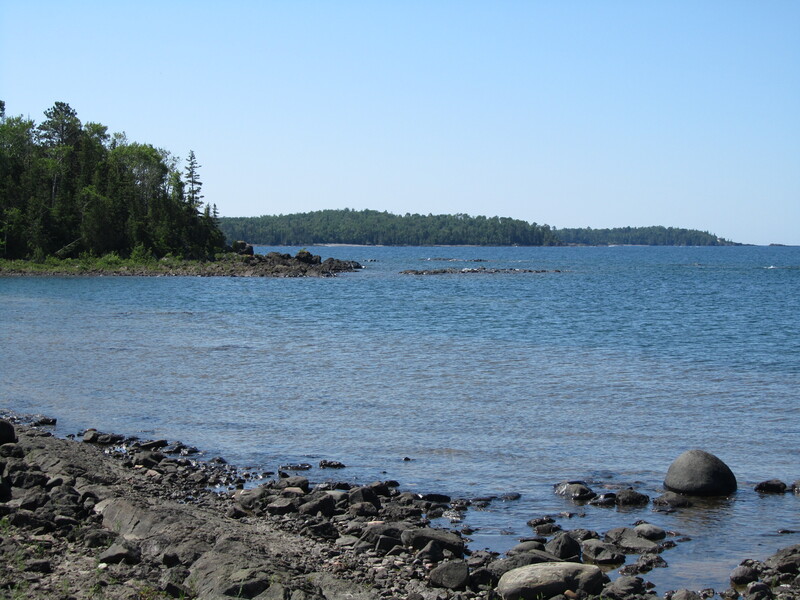 One of the nicest days in one of the nicest campgrounds we've seen. 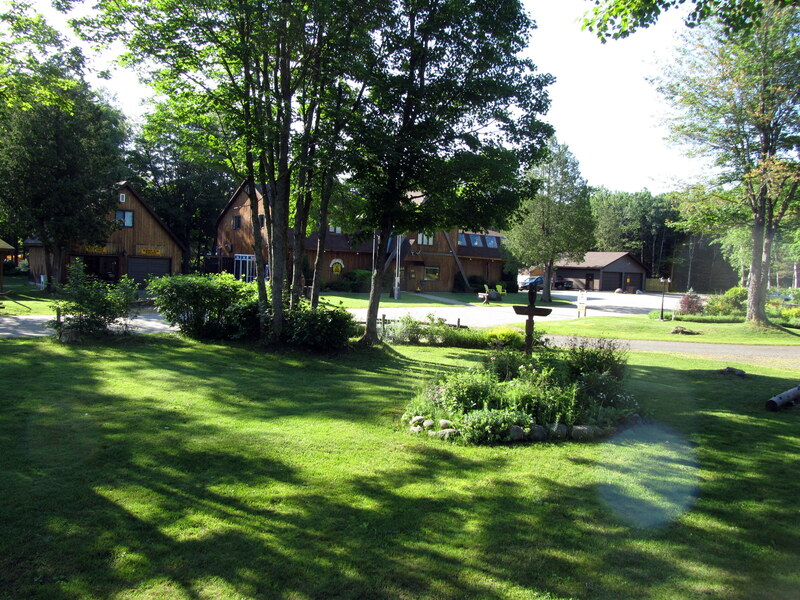 The SSM KOA was a very nice place to stay for a while. When we finally got close to the water it was worth the wait. Ah, peaceful ocean breezes....wait a minute?!? 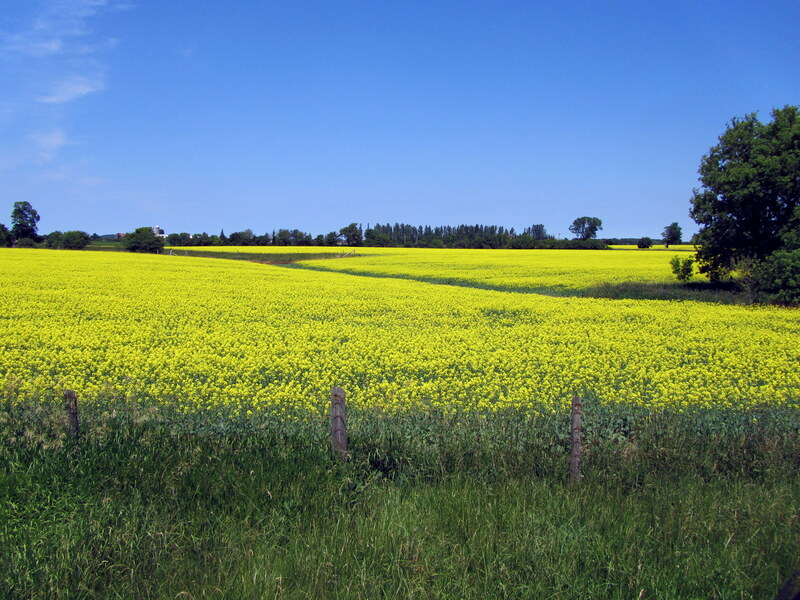 View from the highway north of Sault Ste. Marie. 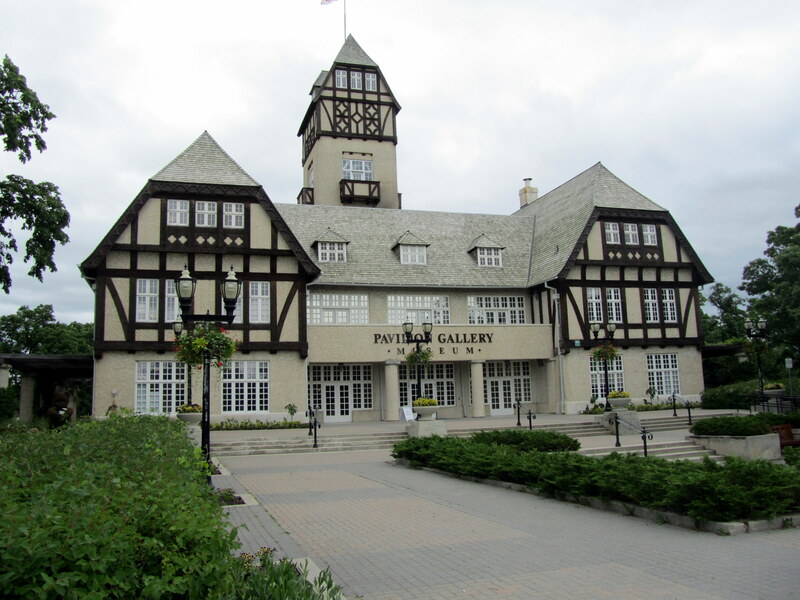 The flags at the Fox Memorial were at half-mast after the passing of Betty Fox. The view from Hillcrest Park. 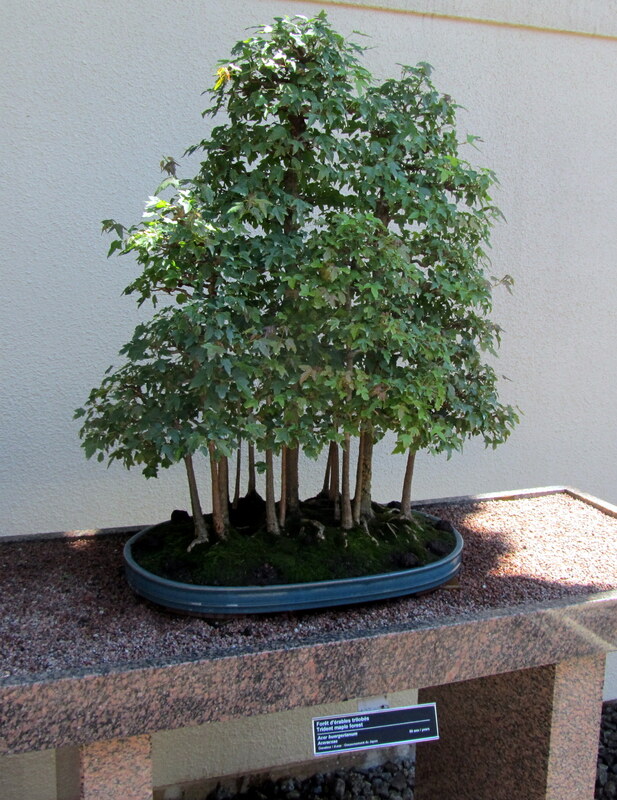 They have a nice garden here, but nothing is blooming yet. 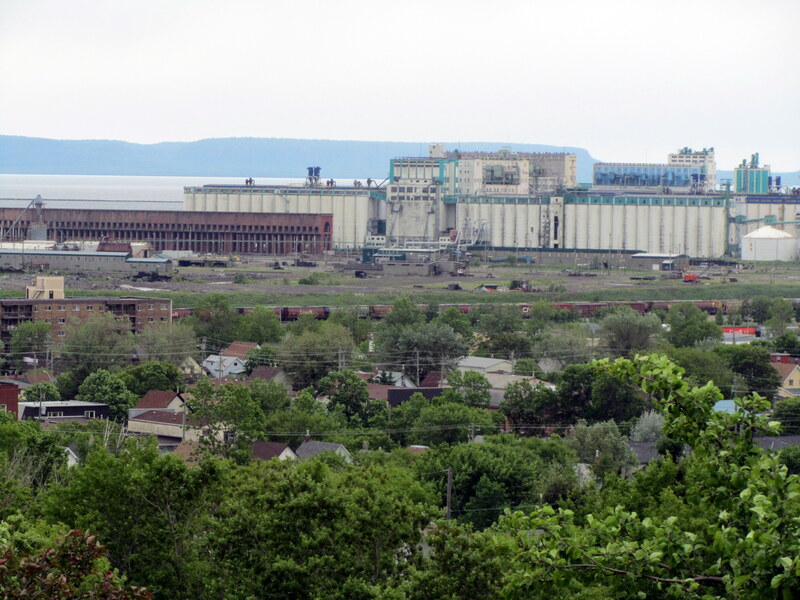 This is the Viterra grain terminal on the waterfront. 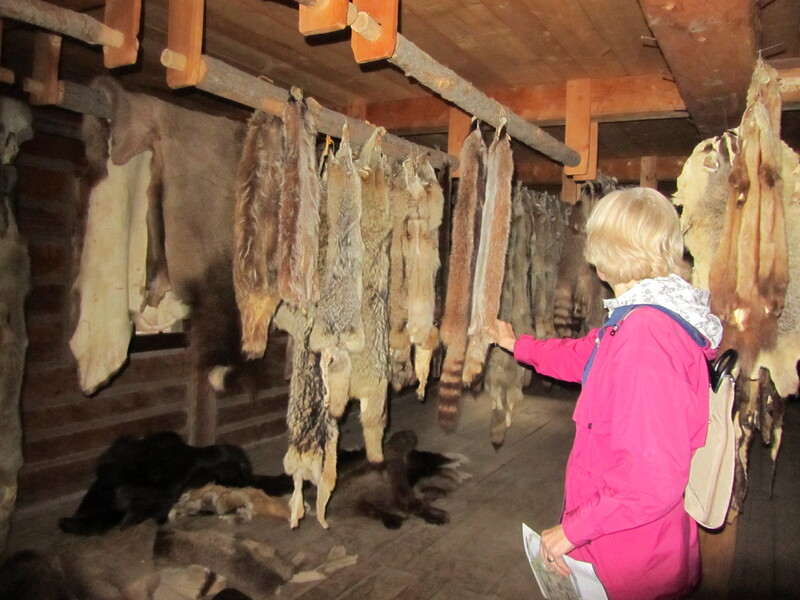 Lots of furs hanging everywhere in the fort. They kept asking us where our furs were, as we needed to have some for trading. 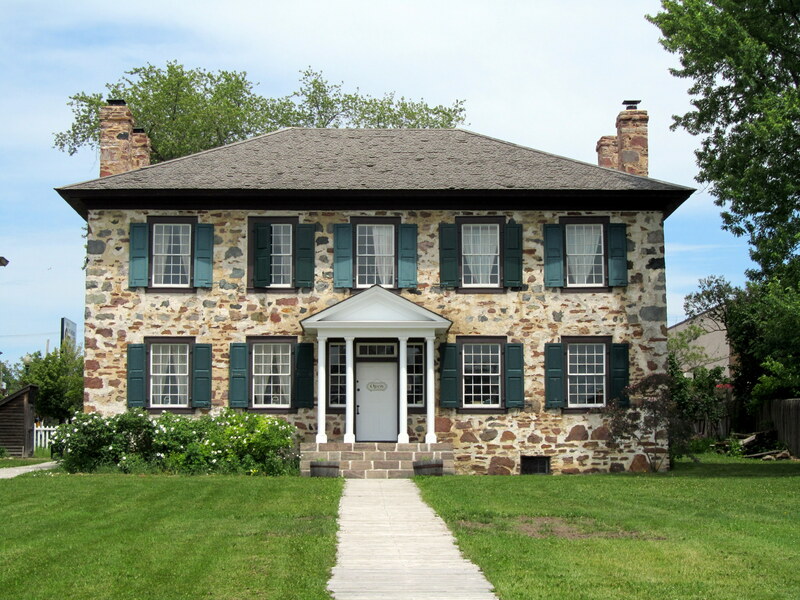 Fort William Historical Park. 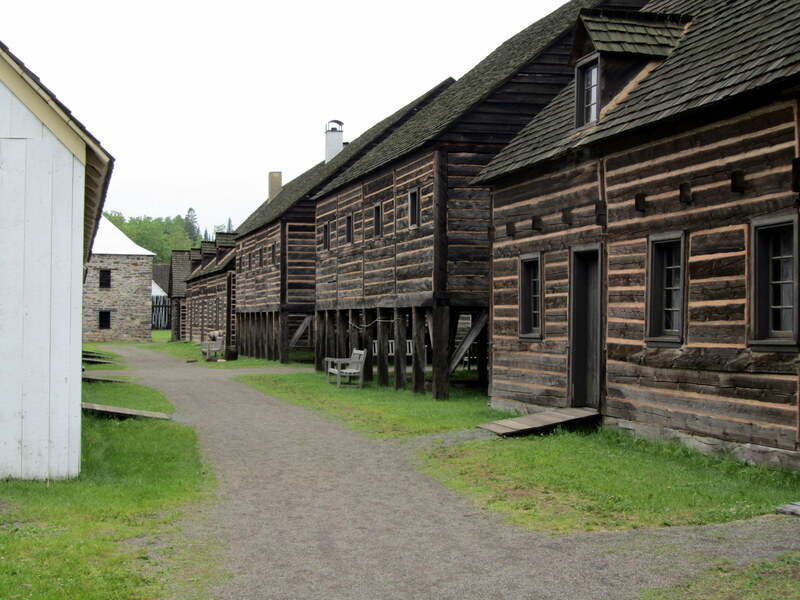 The painted buildings were accomodations or eating halls, and the stores were rustic. 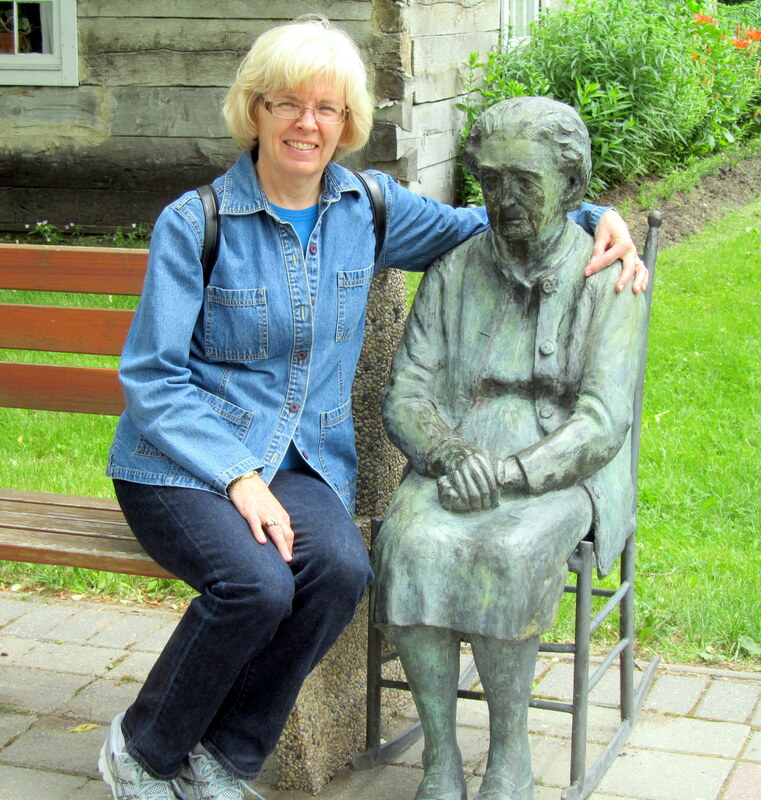 No matter how hard she tried Sylvia could not cheer up the lady at the Mennonite Women's monument. 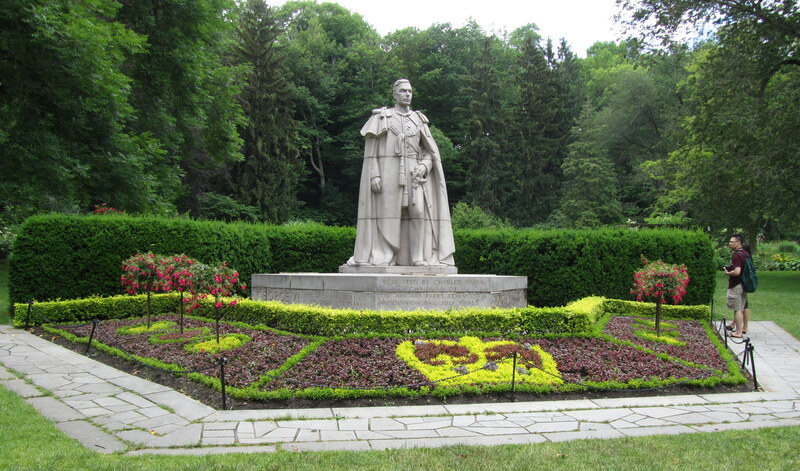 Another view from the Anicinibe Park. 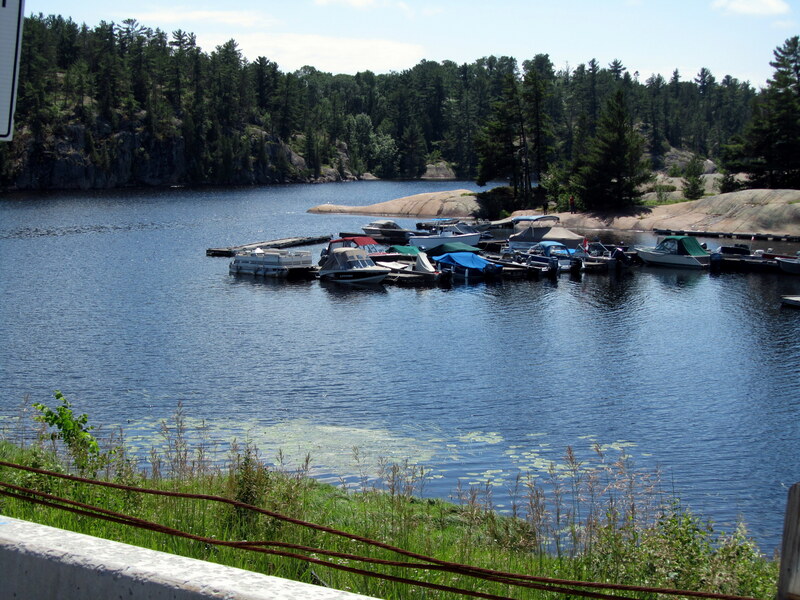 The view from the RV site at Anicinibe Park in Kenora. 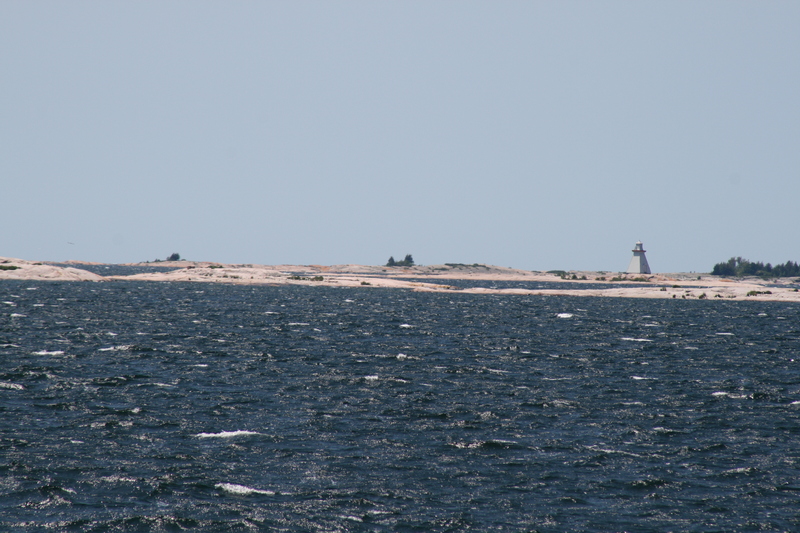 Lots of island cottages were visible around this area. 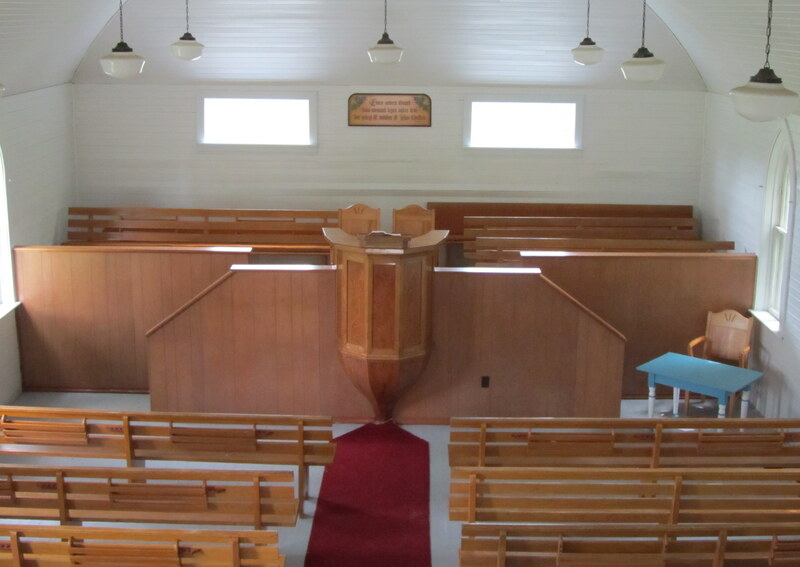 How did they manage to have church without an electric guitar and a sound board. 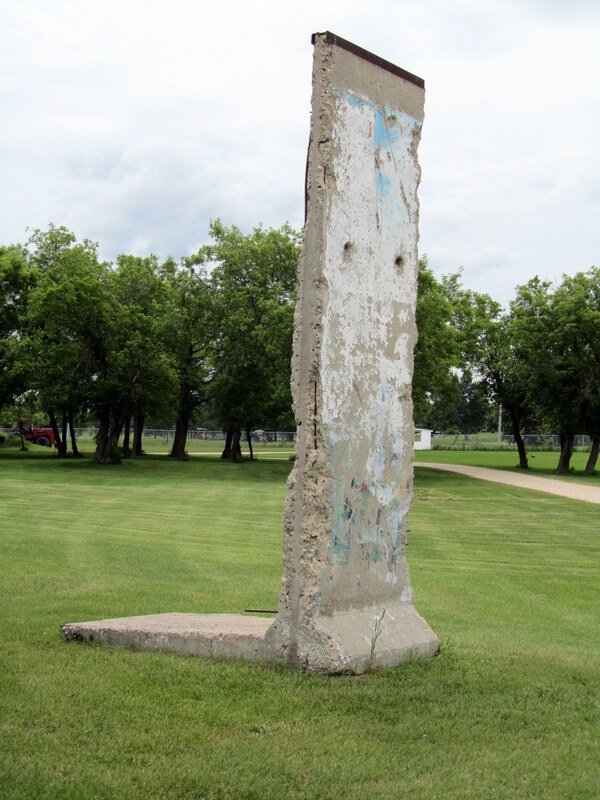 A chunck of the Berlin wall the Heritage village acquired. 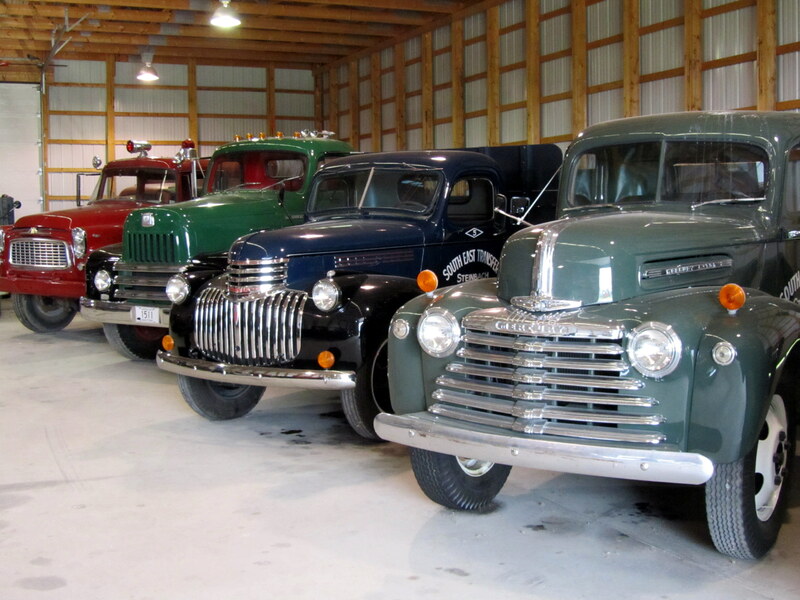 A great display of older work trucks at the Mennonite Heritage Village. 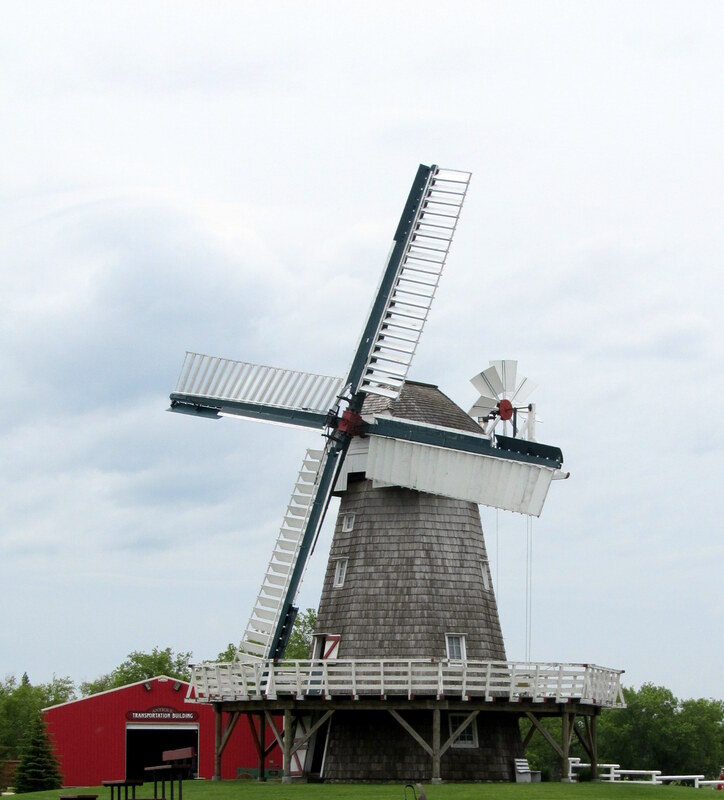 A replica of a Mennonite Windmill, they are much more complicated than the Dutch variety in that they can move to catch the wind. 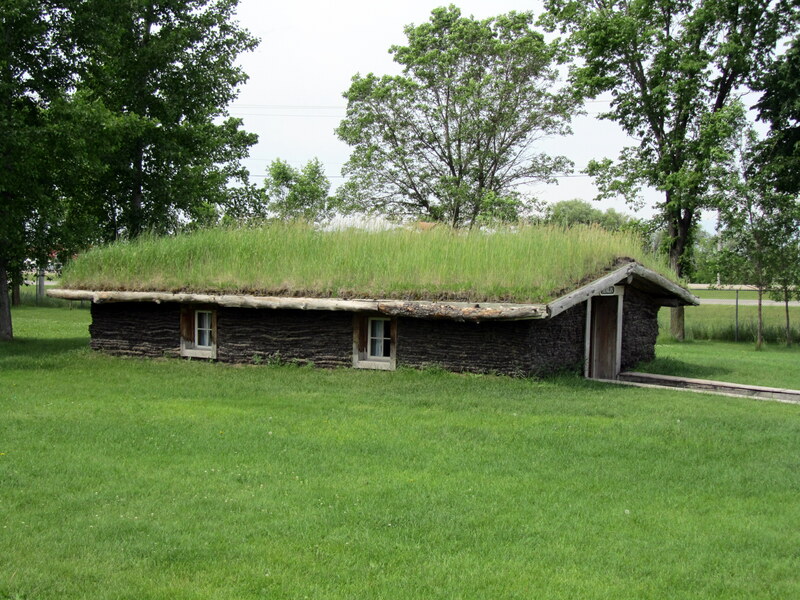 A Semlin, or Sod house used by the original Mennonite immigrants. The gallery at Assinibone Park where we saw the W. I. Phillips artwork. 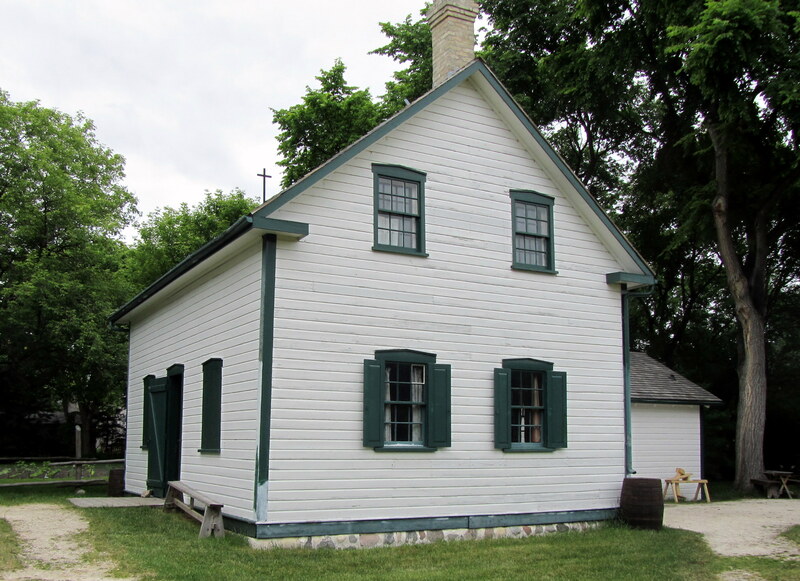 The Riel Family home, now a National Heritage site. 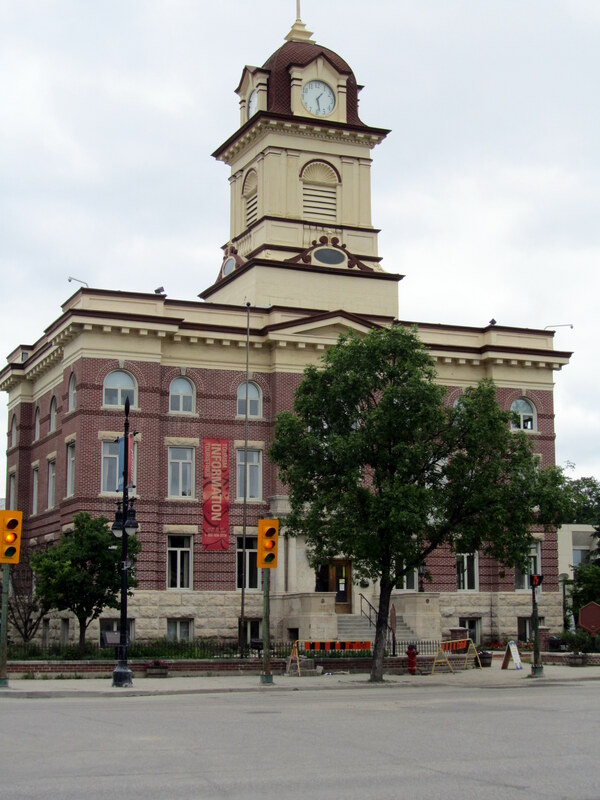 Once the Winnipeg City Hall in St Boniface. Your tax dollars at work. 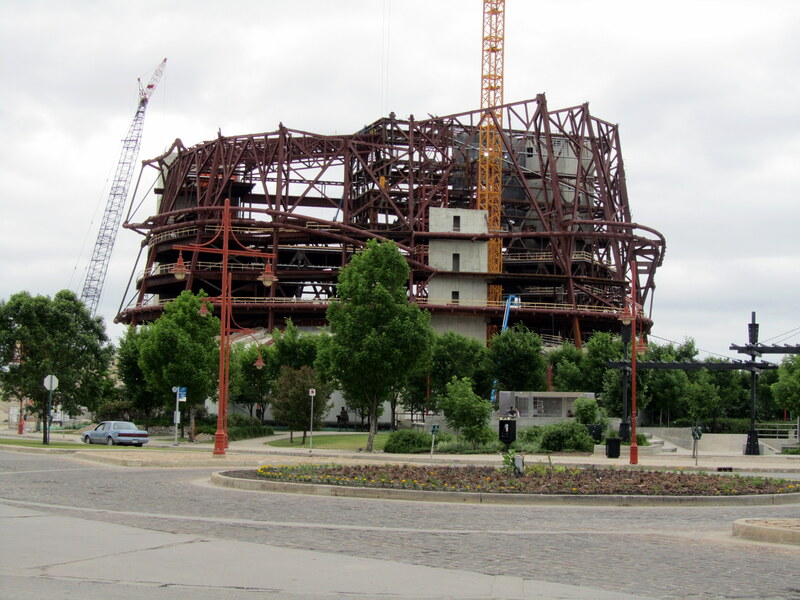 The soon to be open Museum of Human Rights in downtown Winterpeg. 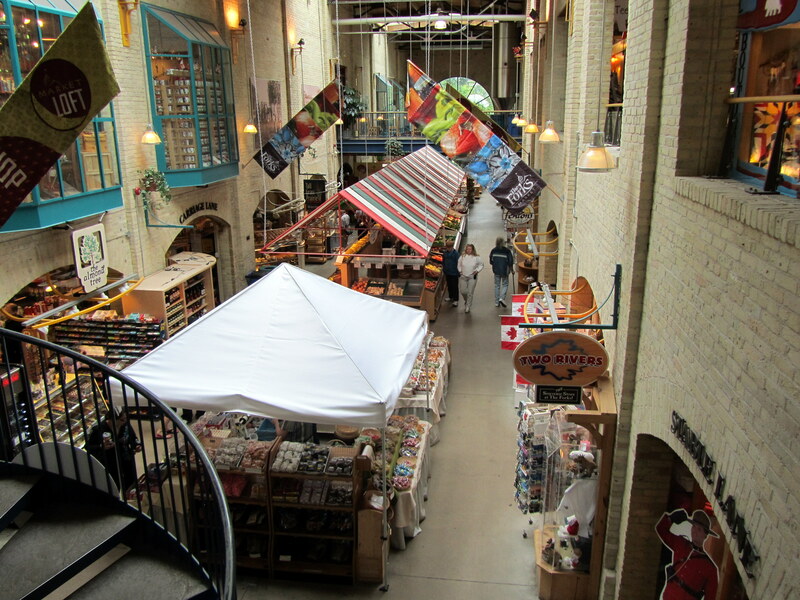 This is the view into the Forks Market. Spectacular food and stores are available here. 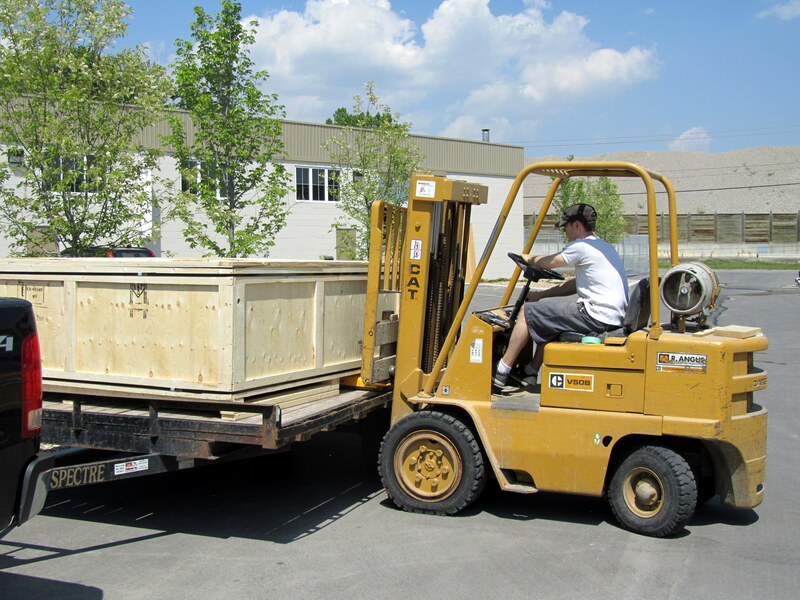 Just one of Jason's crates we watched him build. His Mom made him purchase the forklift, as he used to hand-bomb all of his stuff. 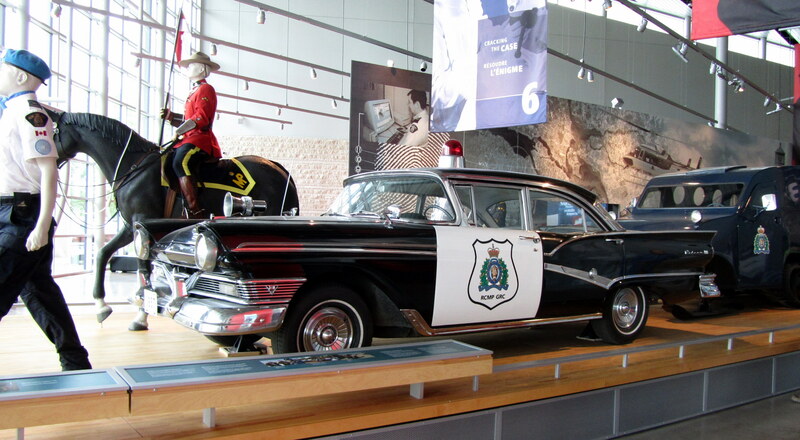 A display at the RCMP Heritage Centre. It looks like Sylvia has found a new calling. Payton is a cutie. 3 1/2 and full of energy. 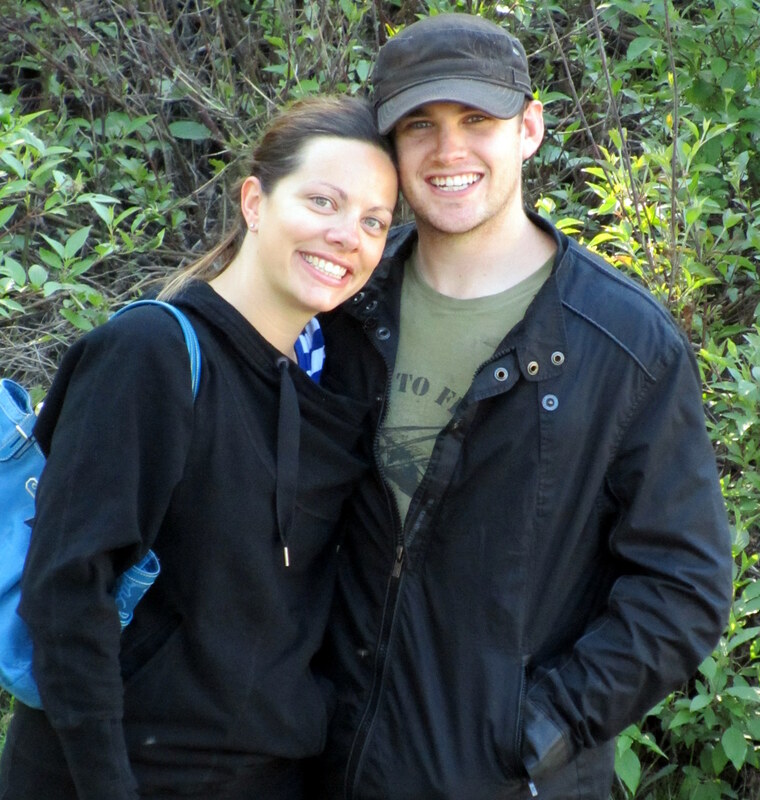 Jason and Angela are really good looking aren’t they! 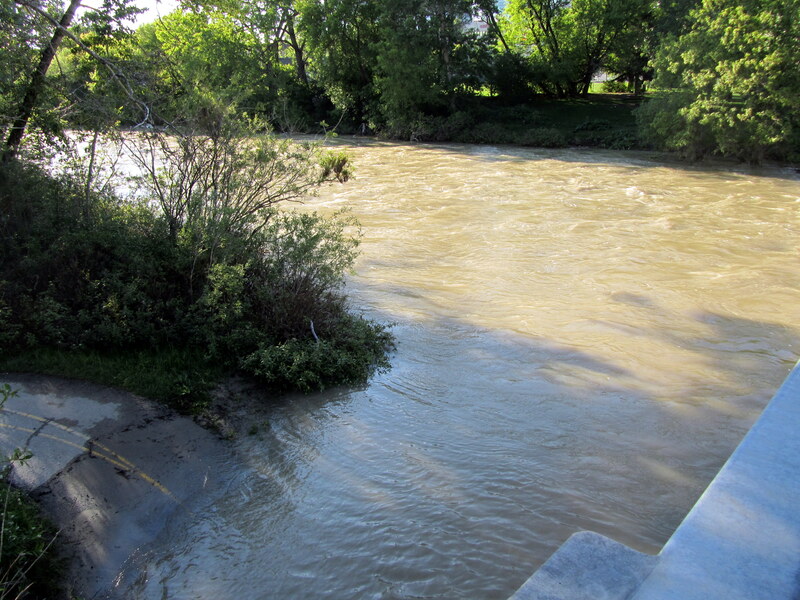 The Elbow River in Calgary is pretty high these days. Several of the walking paths along the river are under water. So is this a real Harley Blue colour?? 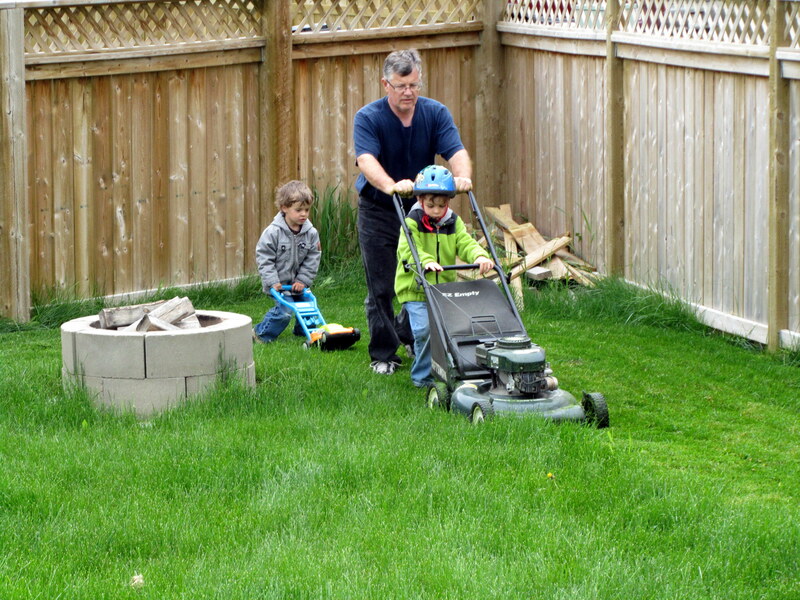 See how much help I had? 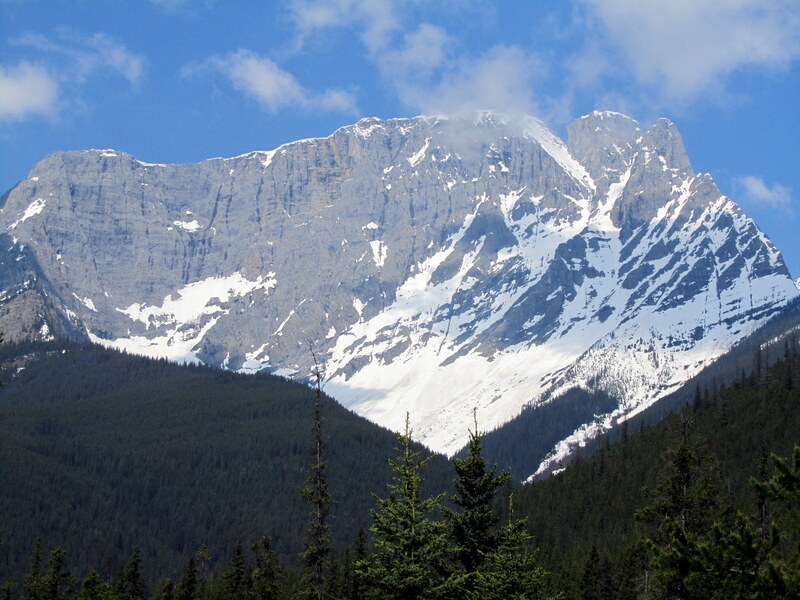 Another one of the many Wow moments on the way through Kootenay National Park. This fella was a smaller cousin of the brown guy. 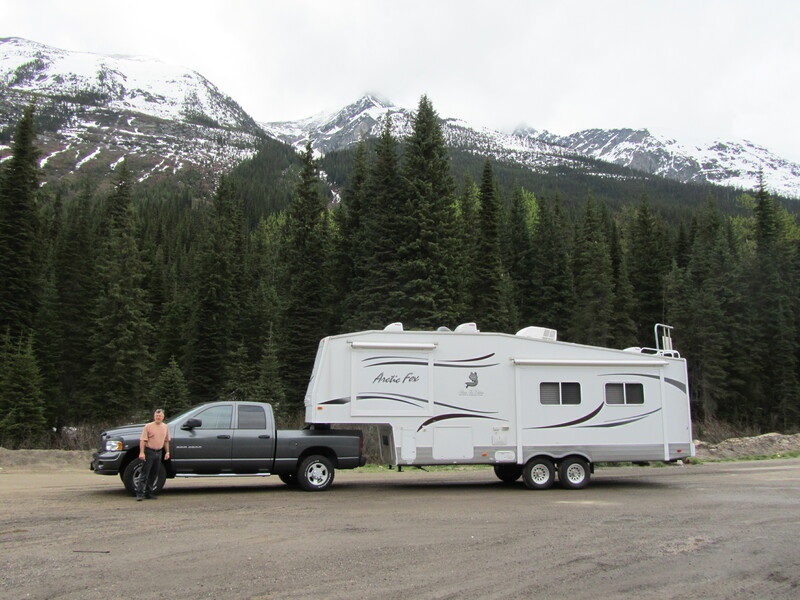 This is parked at the Summit of Rogers Pass. 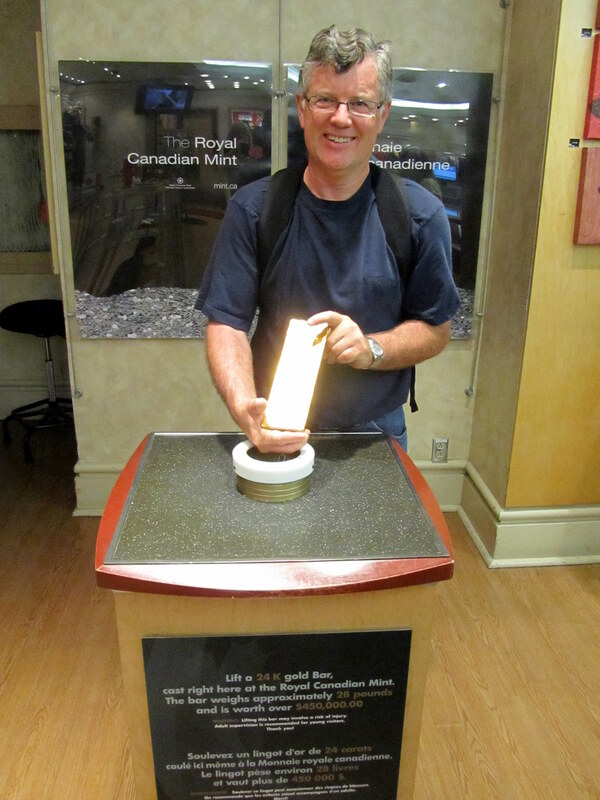 By the time we got to Radium the rig was far from being this clean. Baby needs a bath. Sittin' in the drive way all dressed up and everywhere to go. 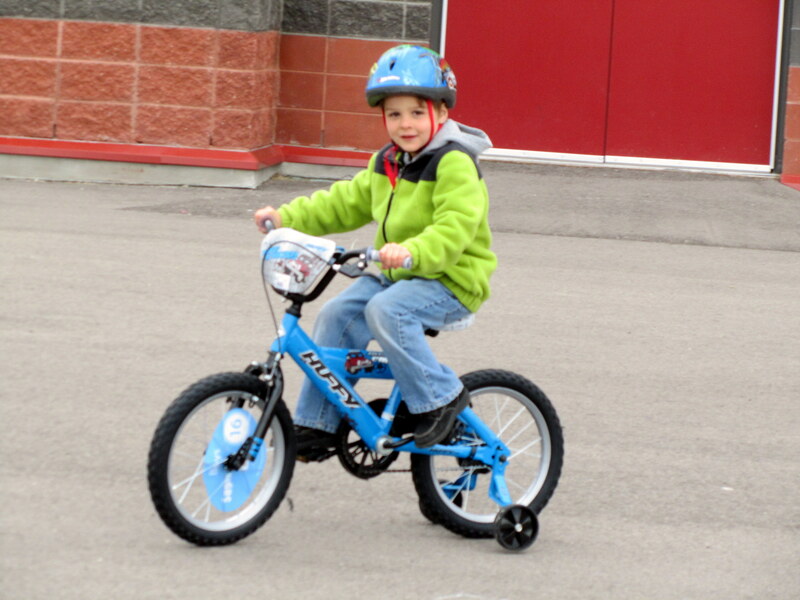 Ayden looks so big and real good on his new bike. Payton looks adorble. 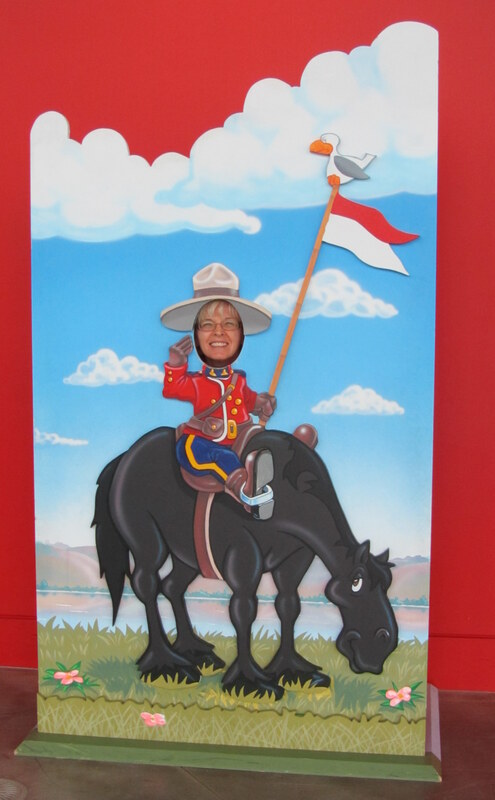 Sylvia you might want to trade your horse for a new model. The one your riding looks a bit worn out. Cute though. Like all the other pictures too. 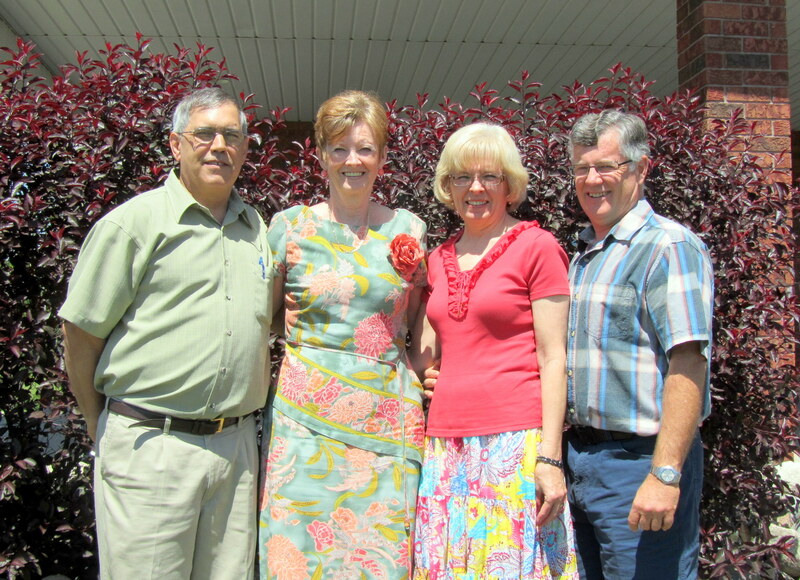 Greetings Rod and Sylvia, I stumbled upon you calling card and found your blog and pictures. 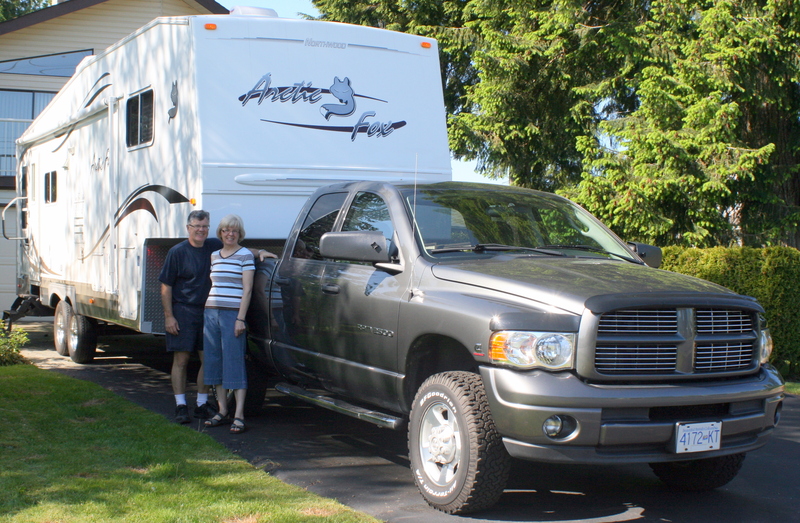 Its our dream trip and we will watch you do it first. 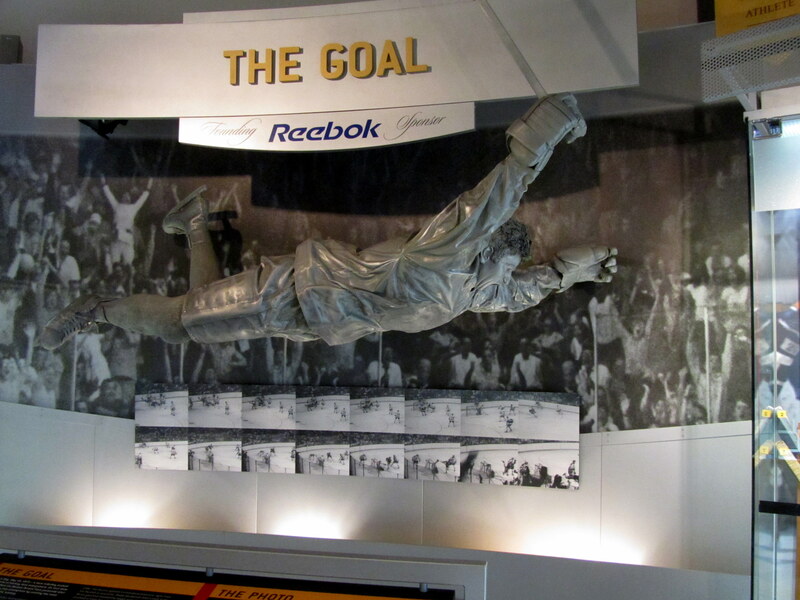 I am loving the pictures and notes. Keep it up for us retiree wanna bees. Good to hear from you. Hopefully you’ll get a chance to enjoy something like this soon. Thanks for coming to see us and making us part of your awesome journey, we had so much fun, thanks for the laughter and the memories, looking forward to keeping up with your adventure. We had lots of fun, though I think we’ll be all fed up for a week or more. You guys are special you know. At the end of the day you just feel like a dishrag. 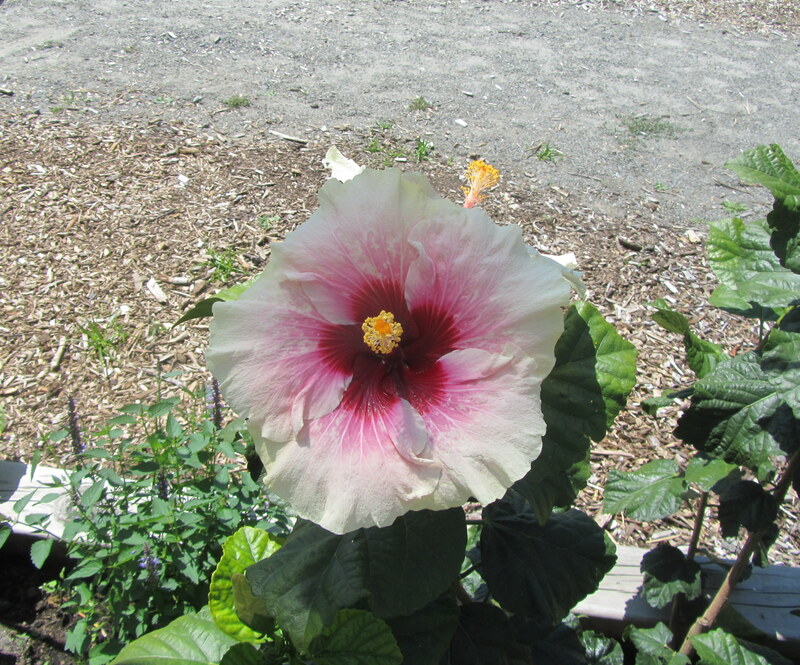 And I gather that it really hasn’t been too bad here this summer so far. We’ll see…. We’ve got the 1350, with the smaller screen, but it sure is handy when it works well, We really liked it most of the time in the US, but rural Ontario is another story I guess. Wow awesome pictures of Quebec and Niagara Falls been there done that but it’s good to see it again thanks for sharing.Keep making memories.